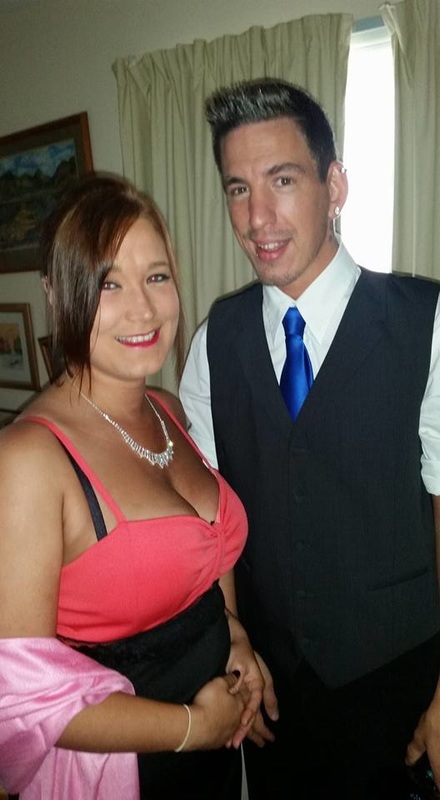 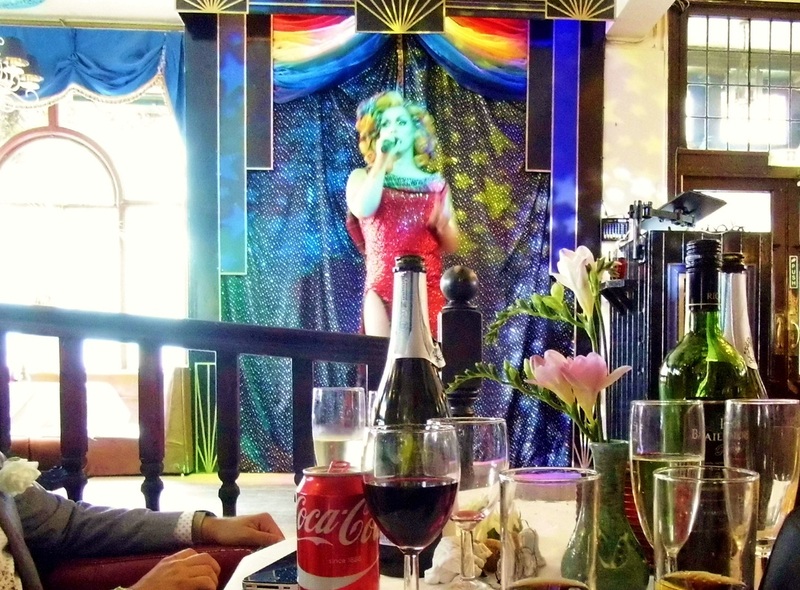 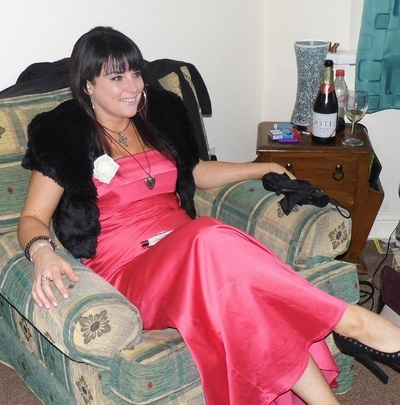 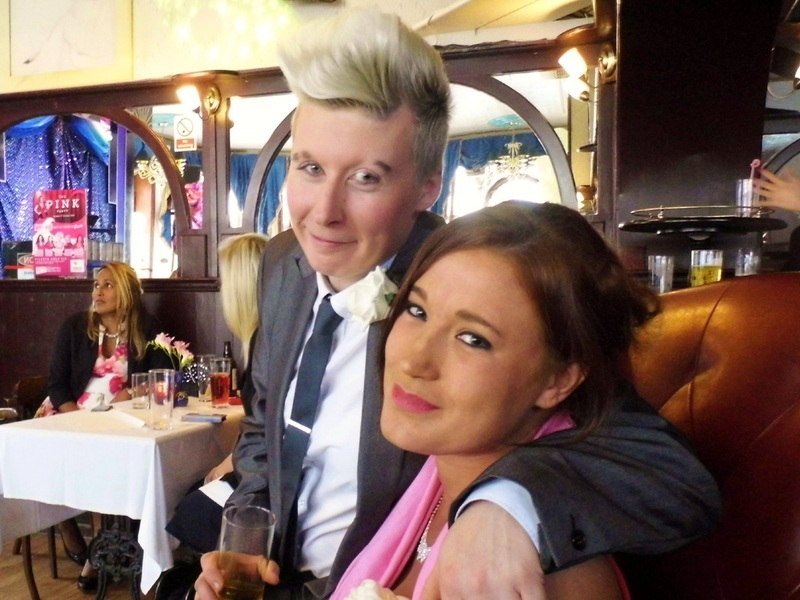 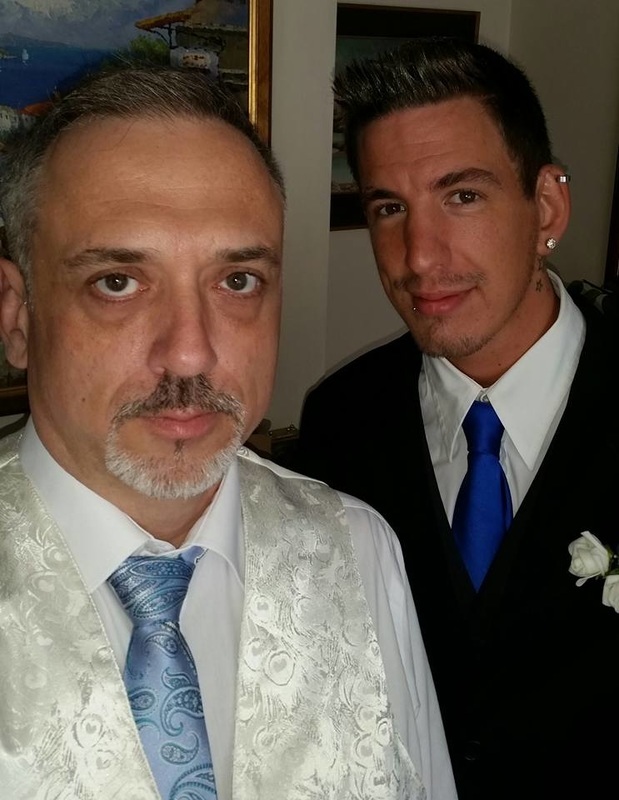 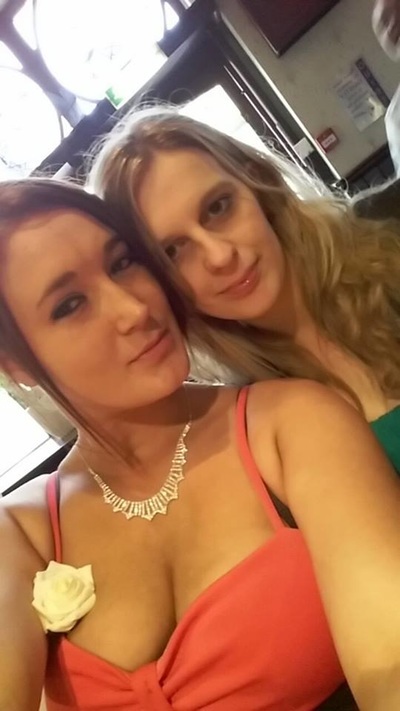 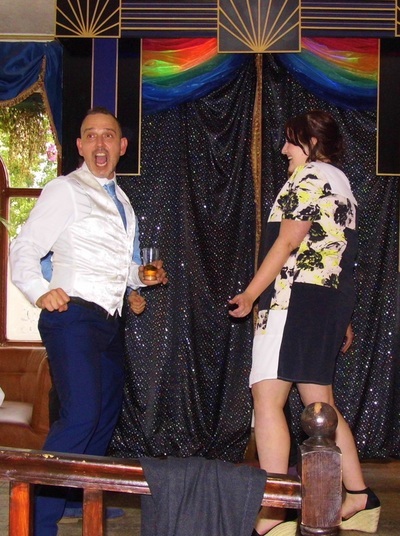 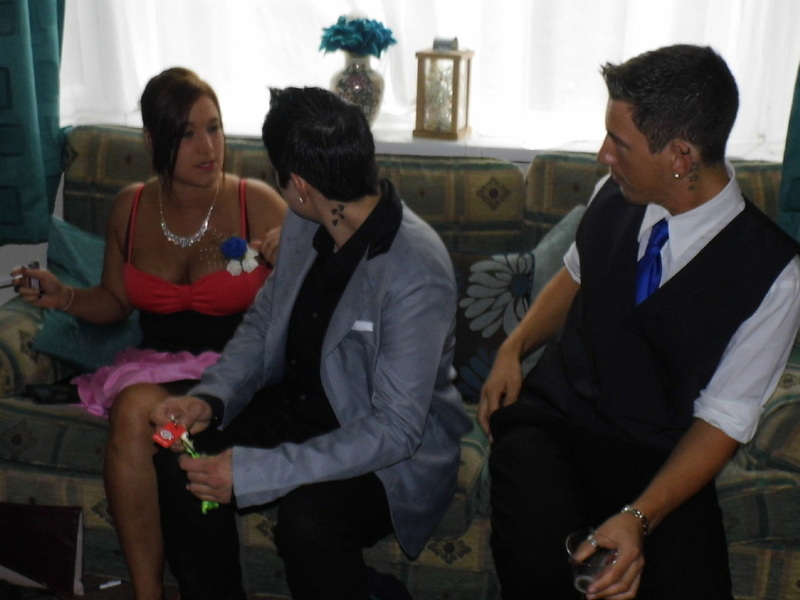 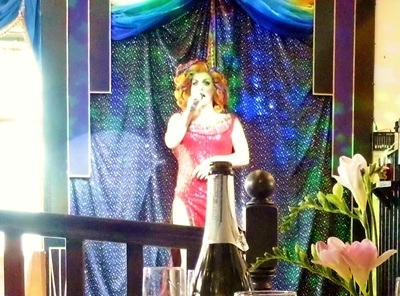 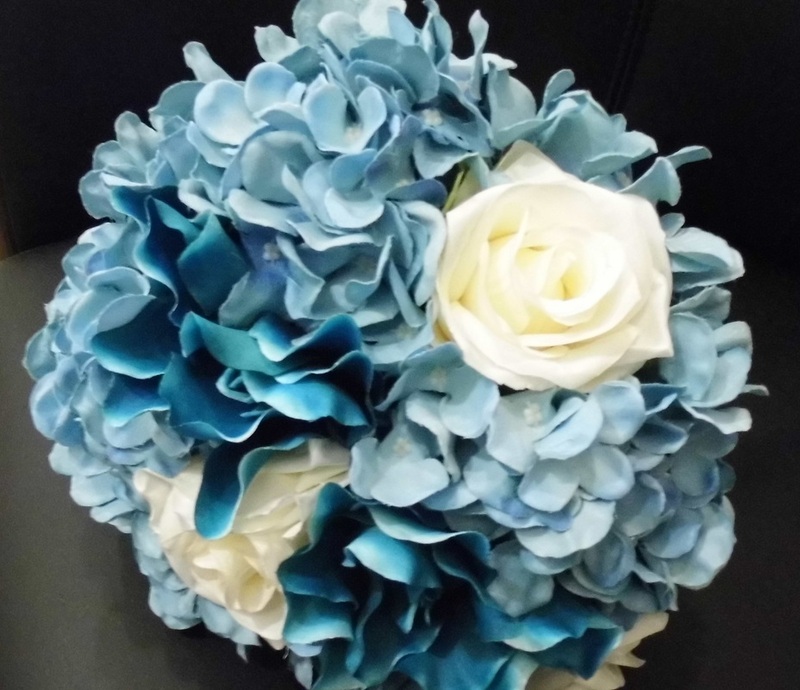 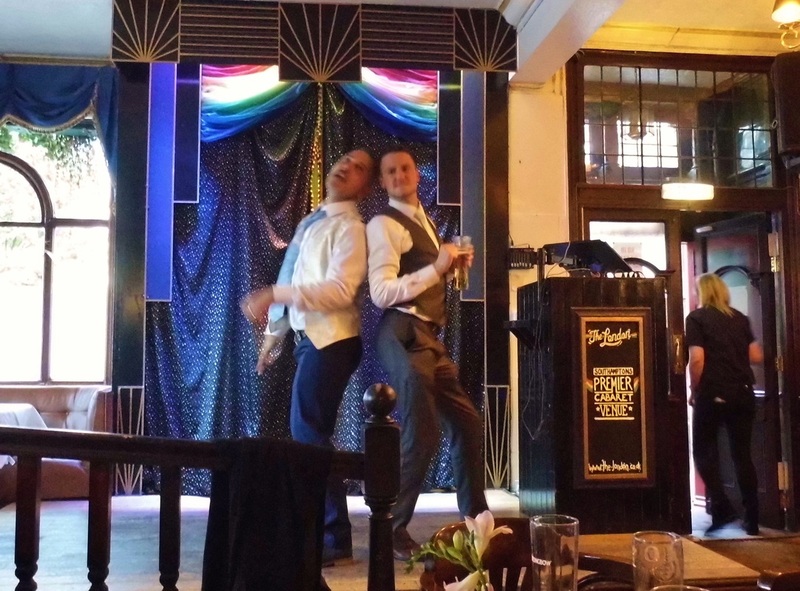 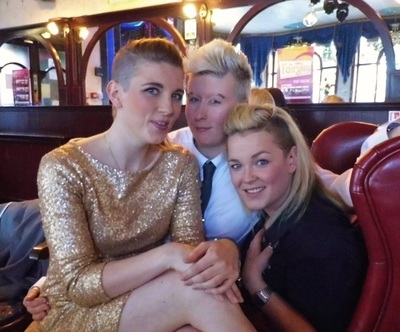 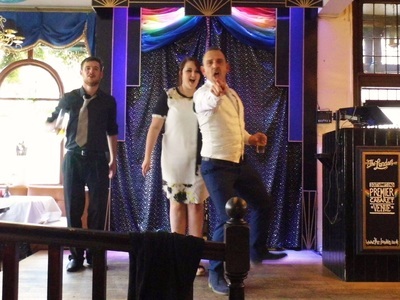 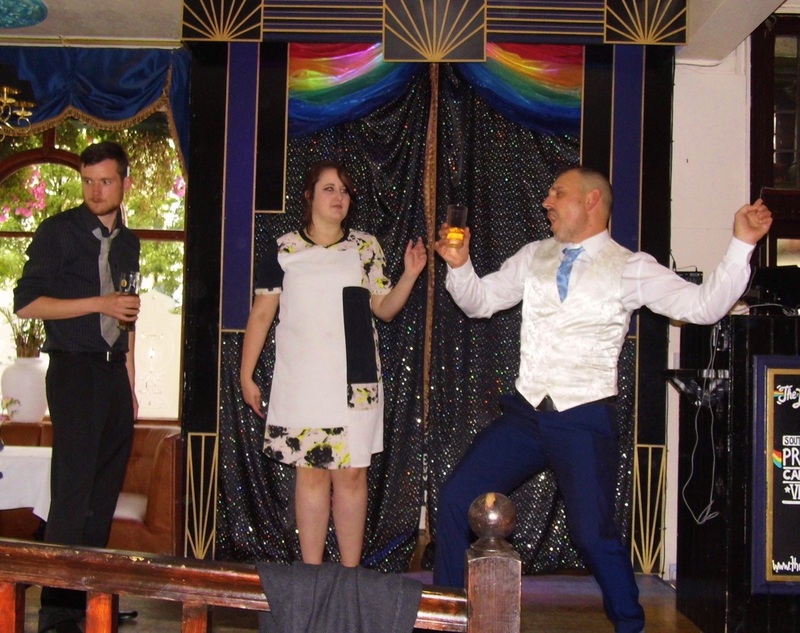 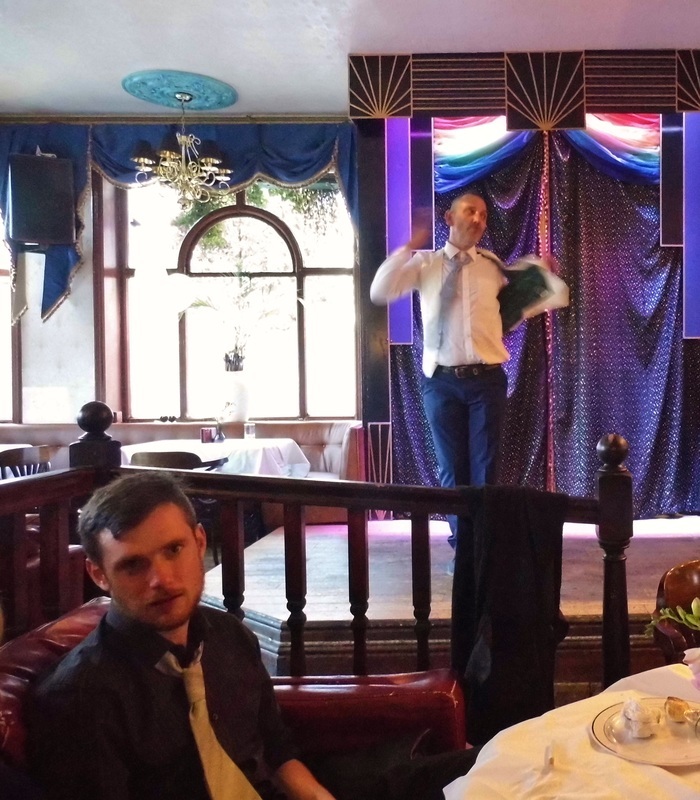 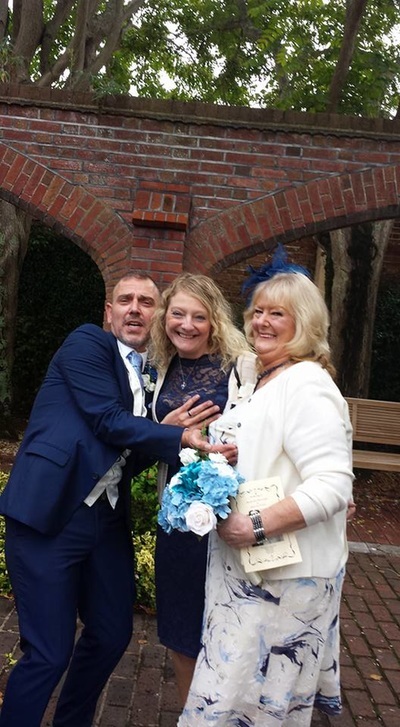 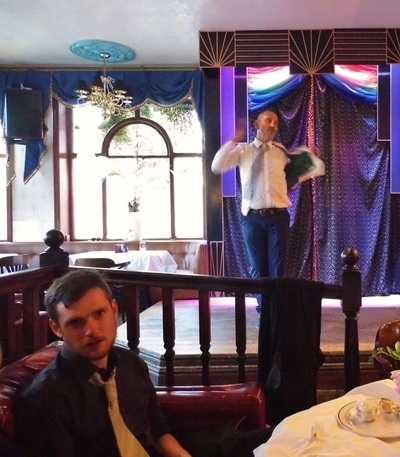 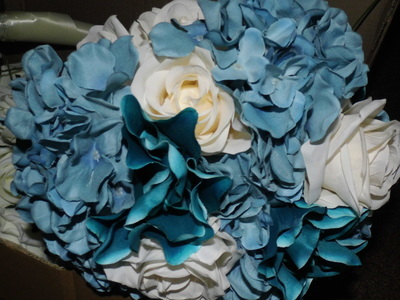 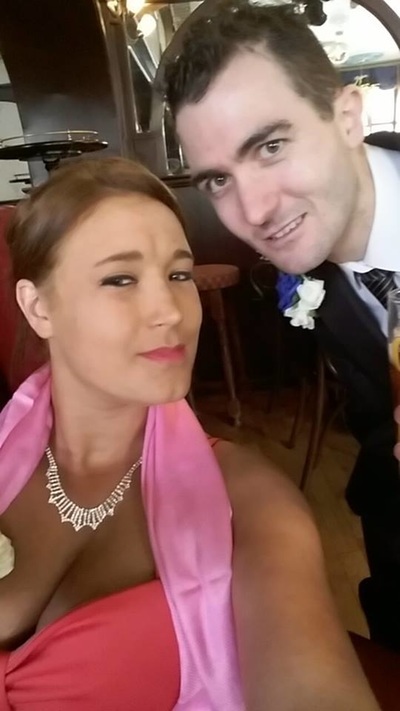 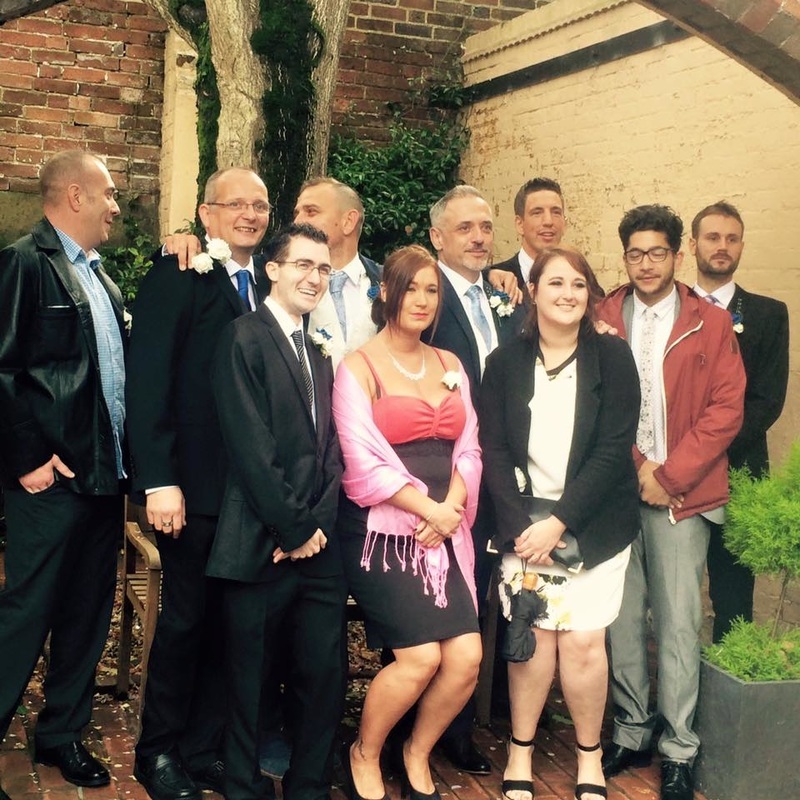 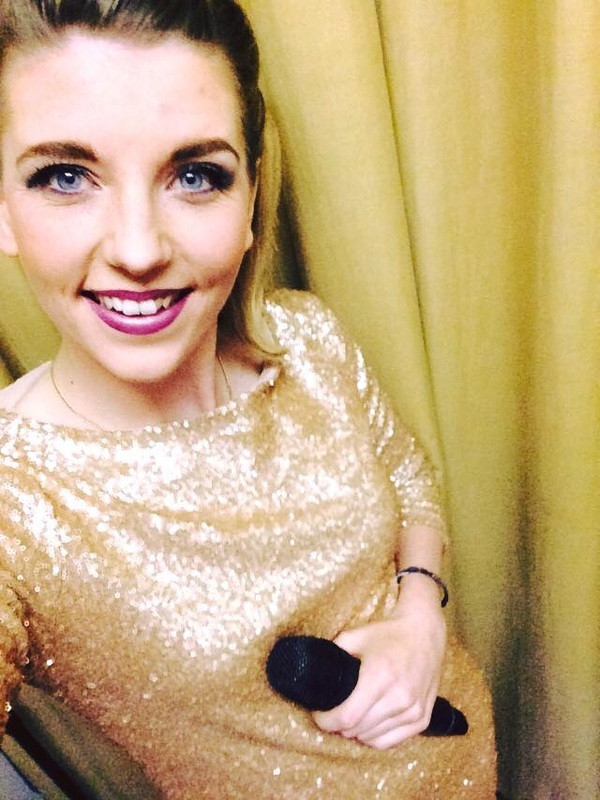 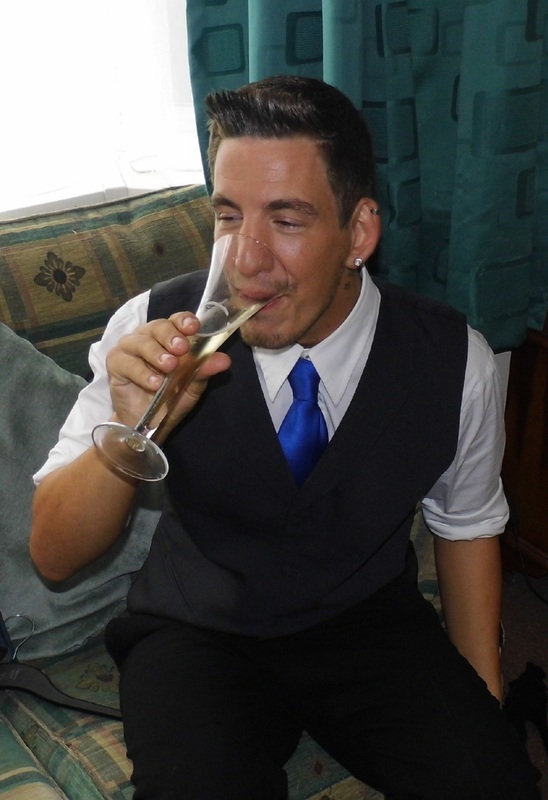 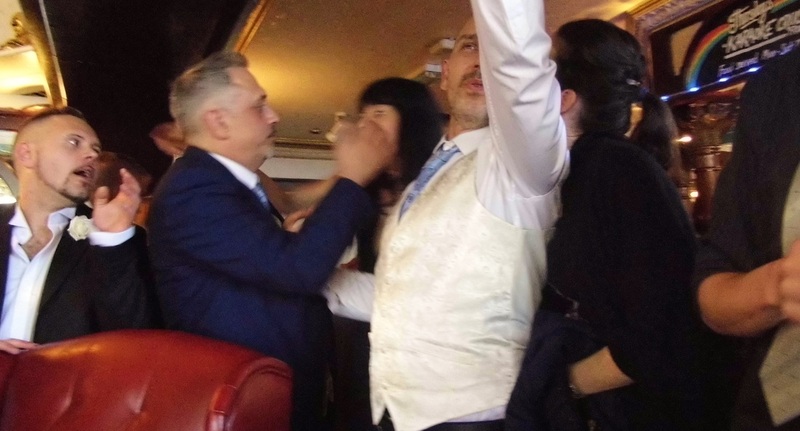 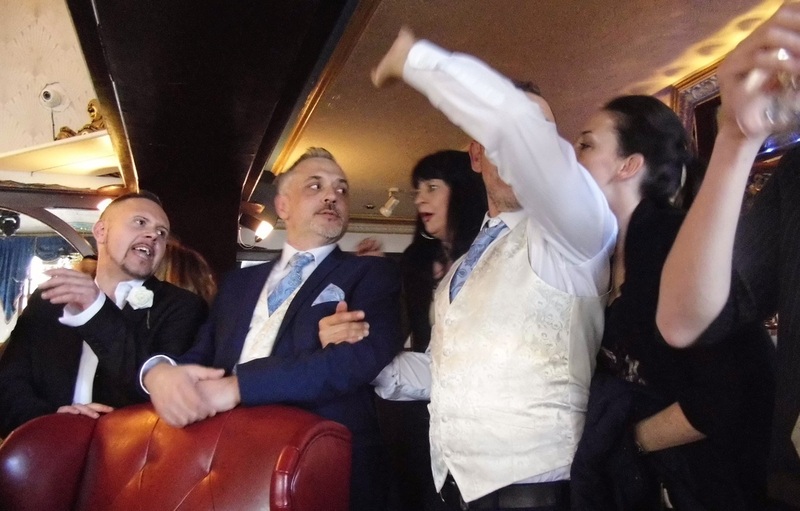 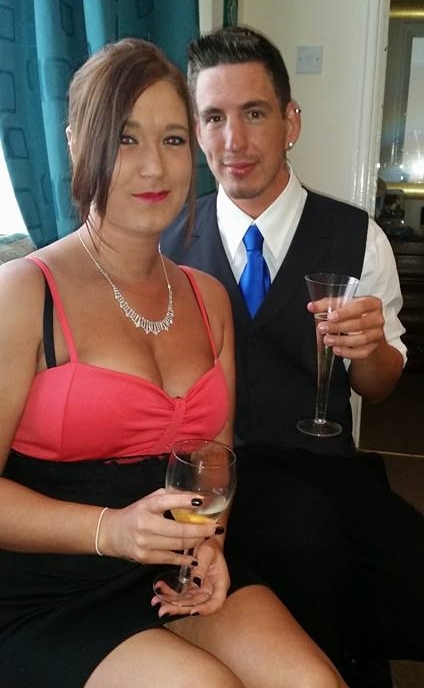 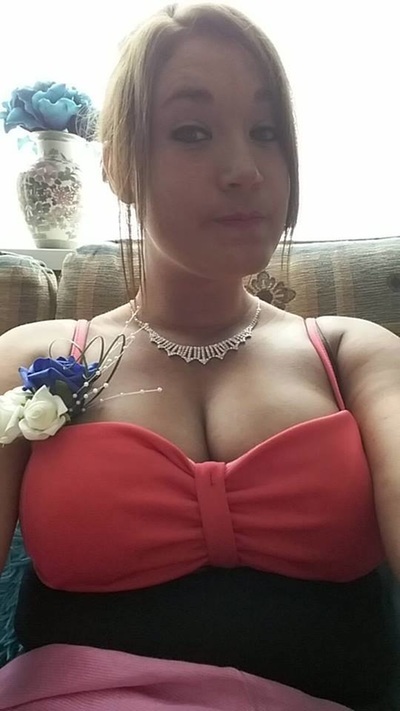 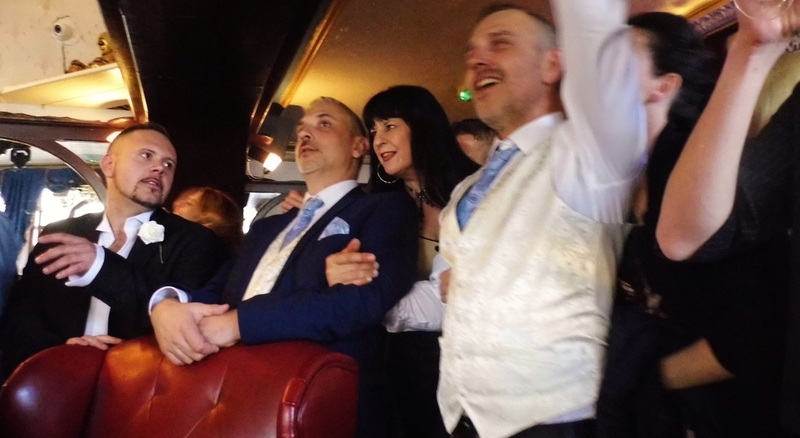 Wedding 2015 - Bipolarcoasterthe ride of your life! 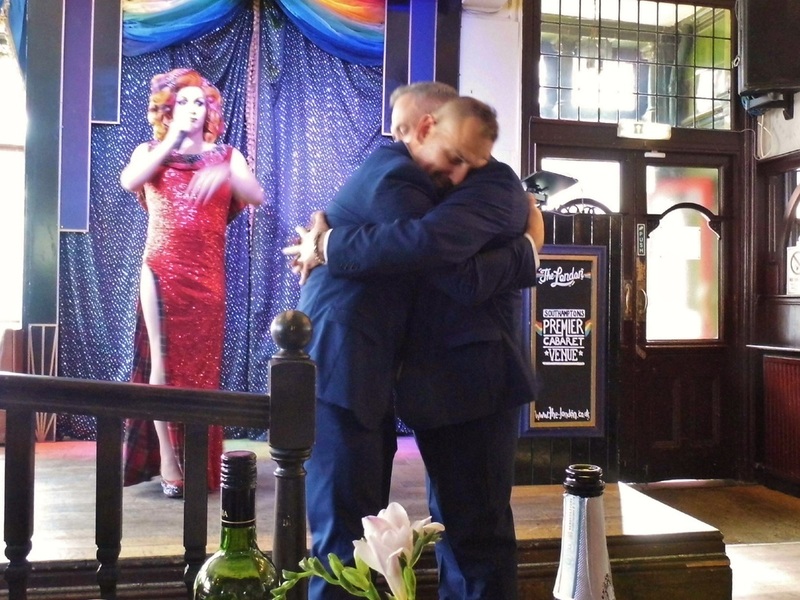 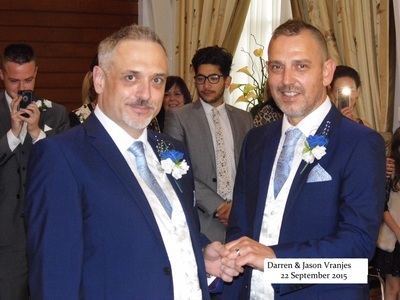 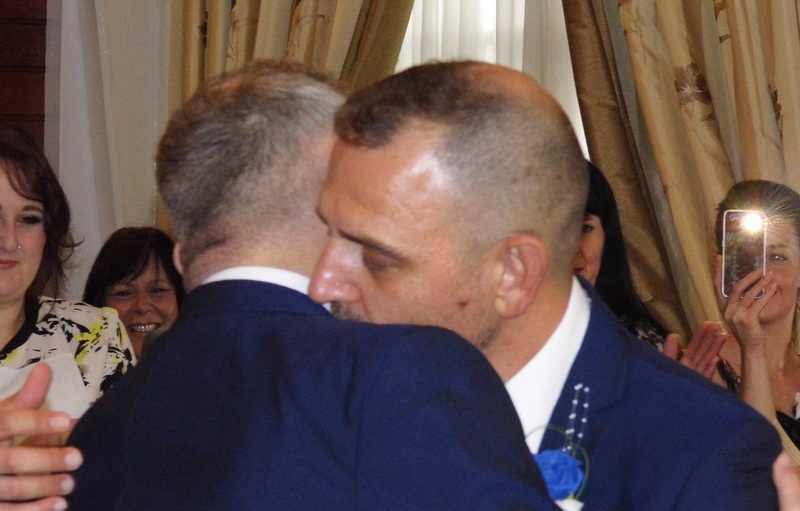 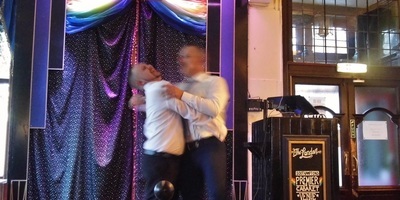 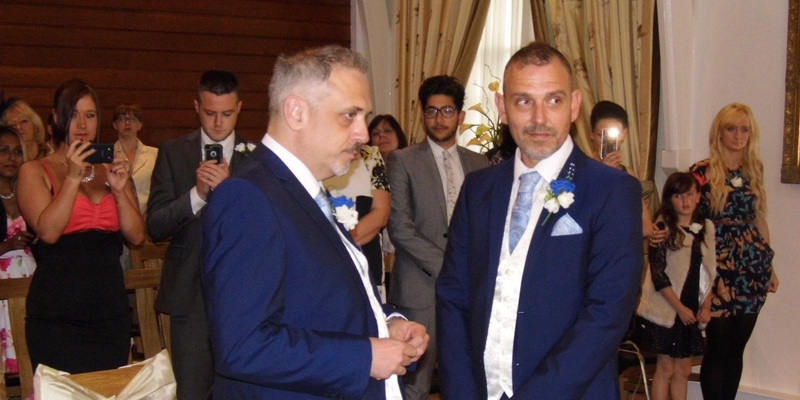 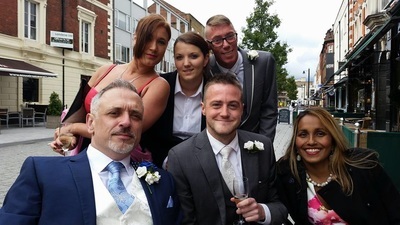 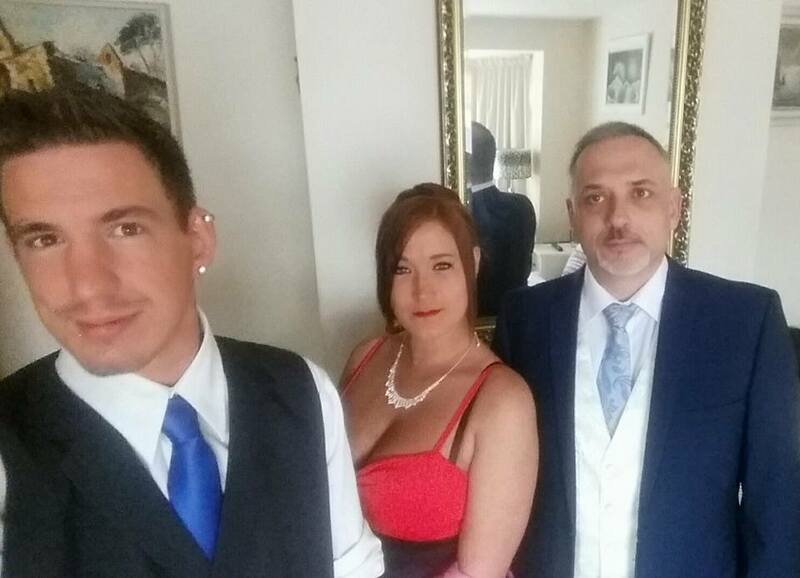 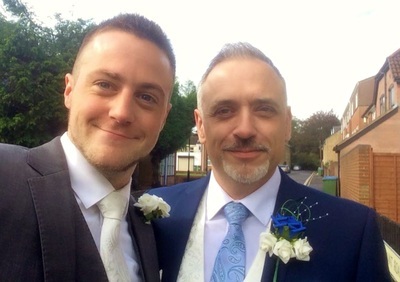 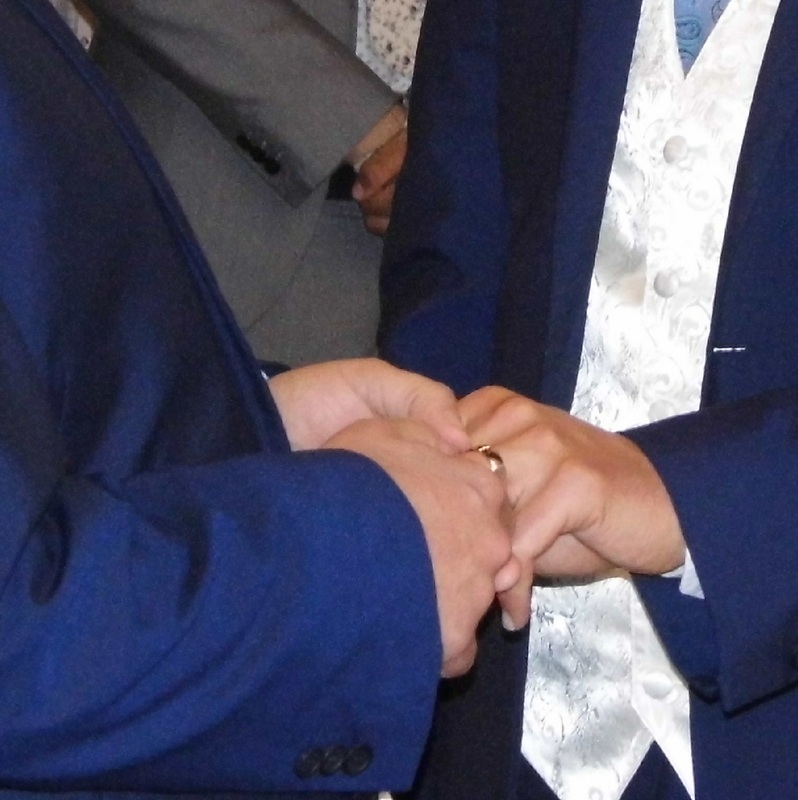 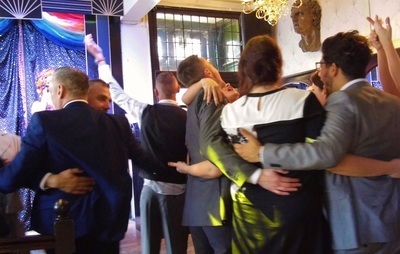 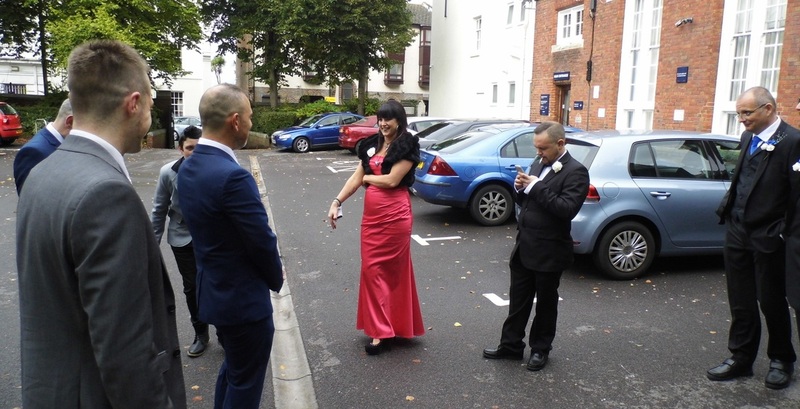 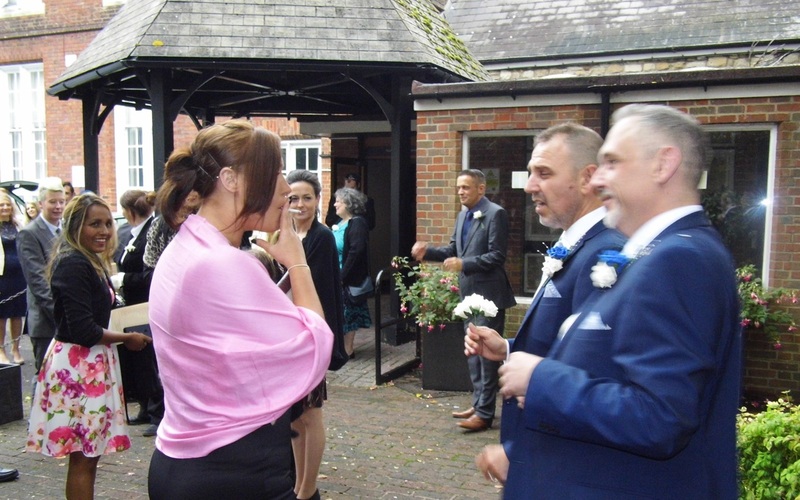 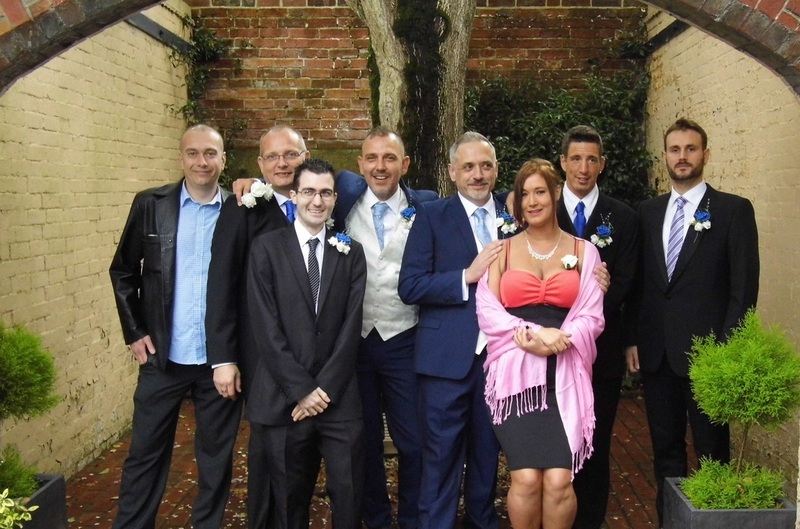 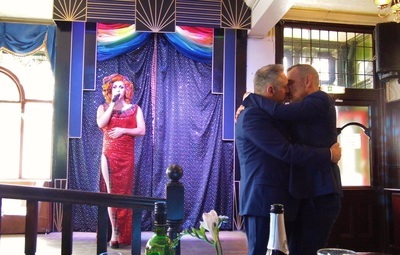 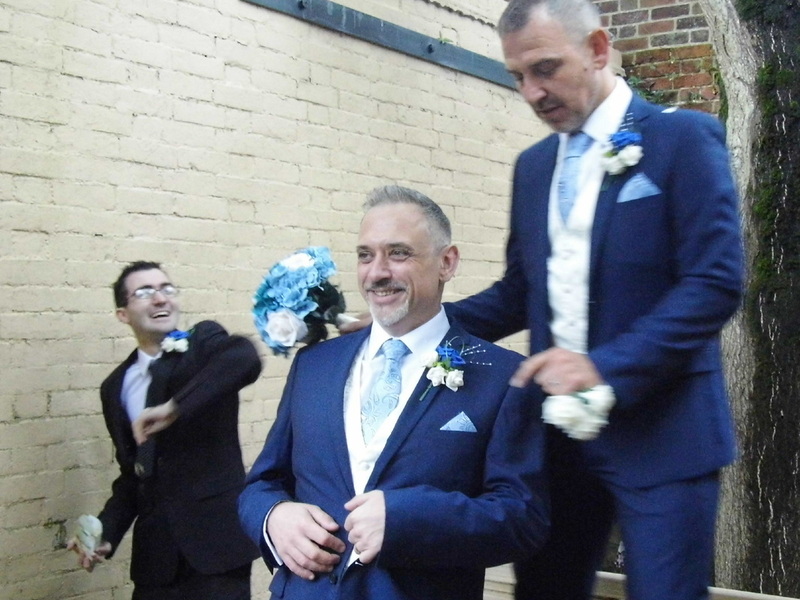 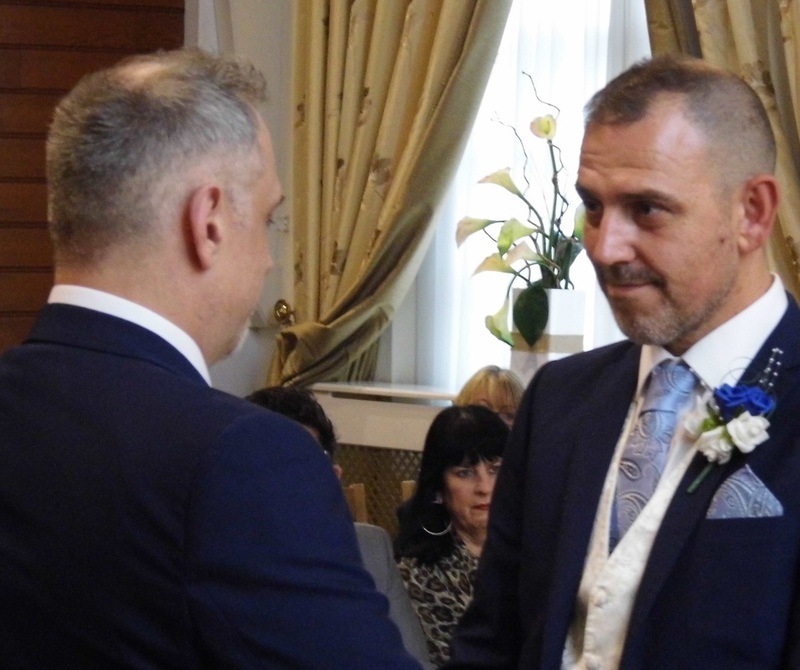 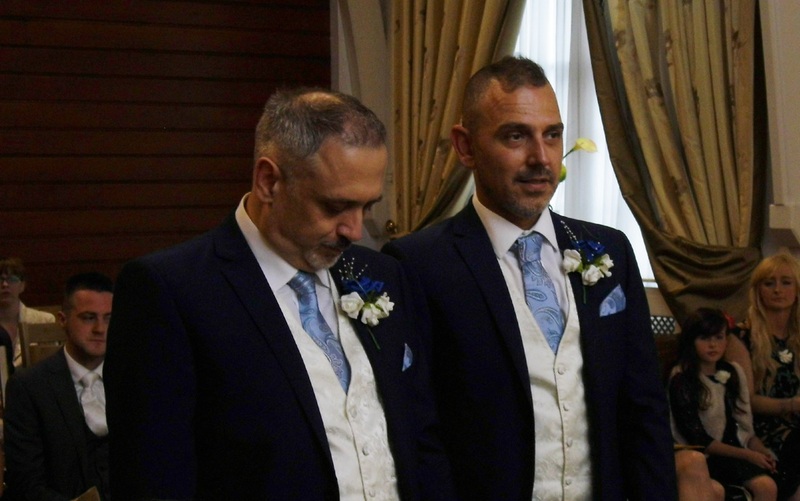 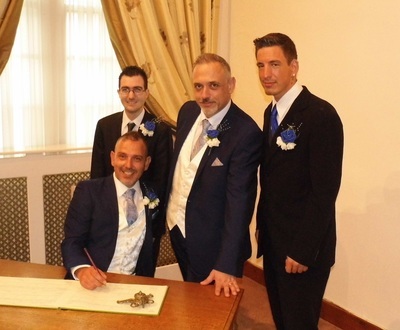 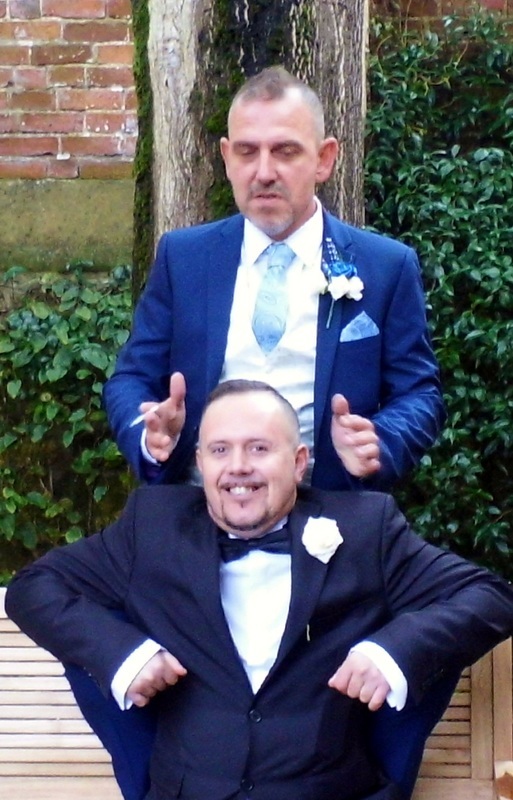 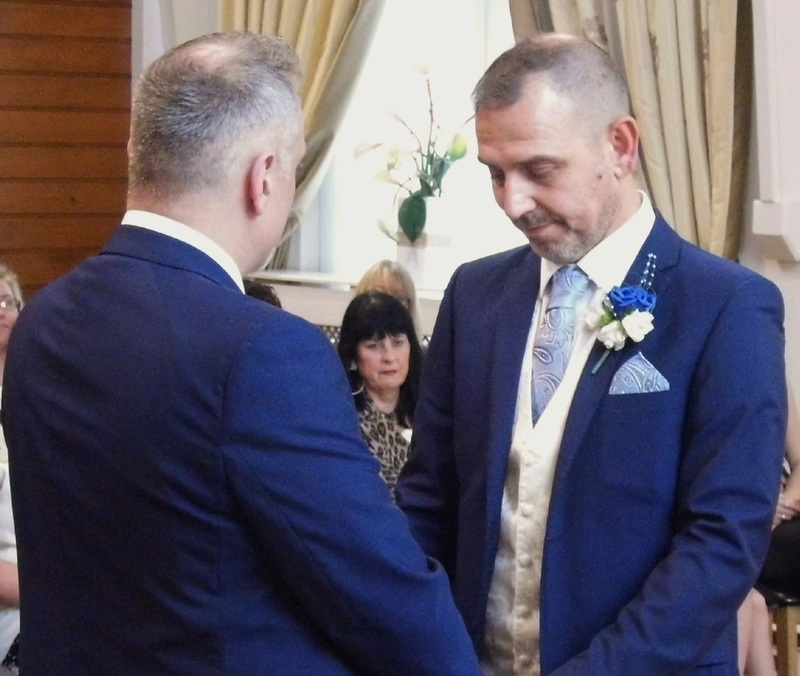 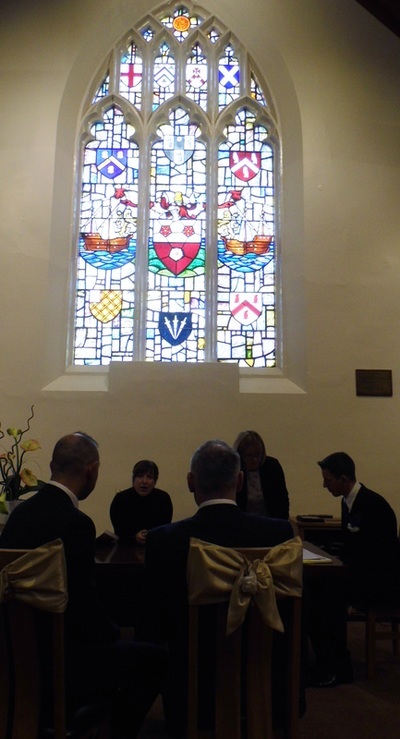 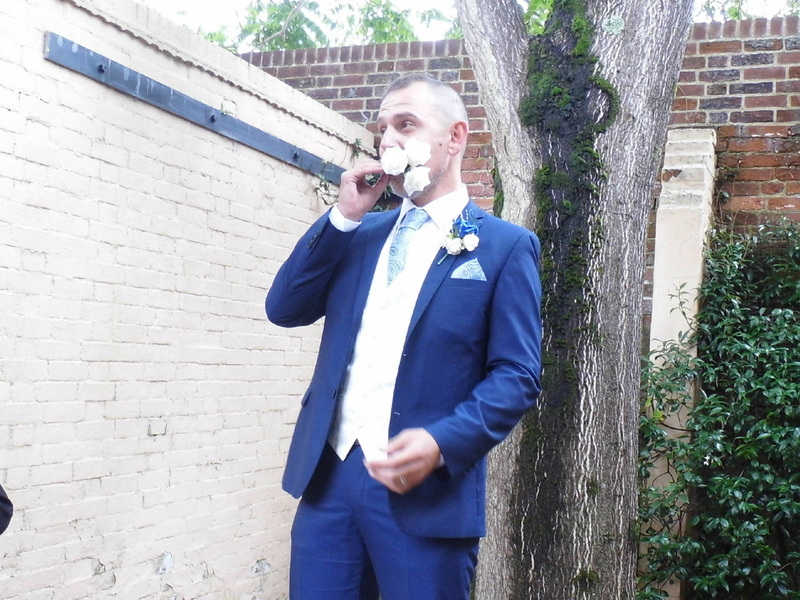 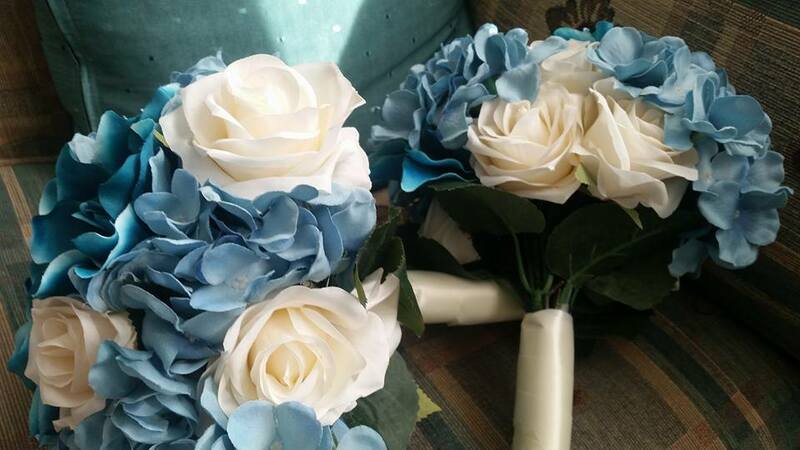 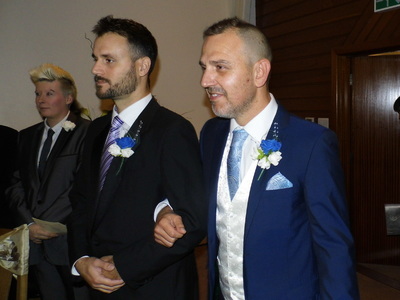 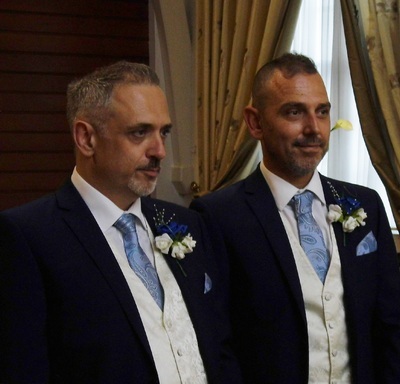 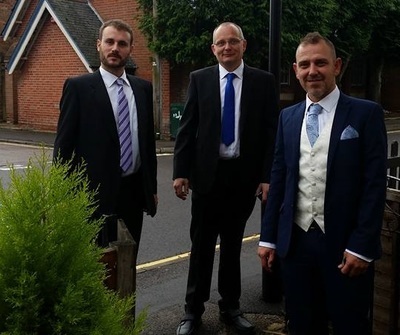 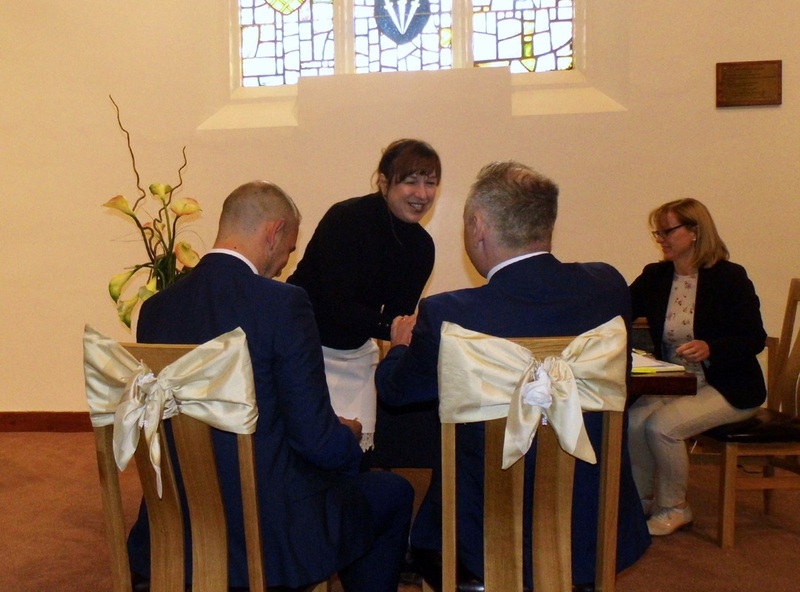 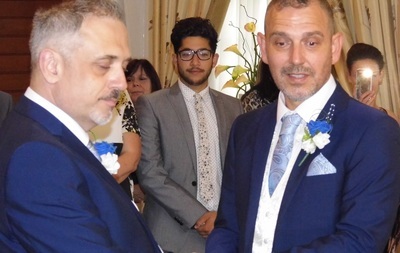 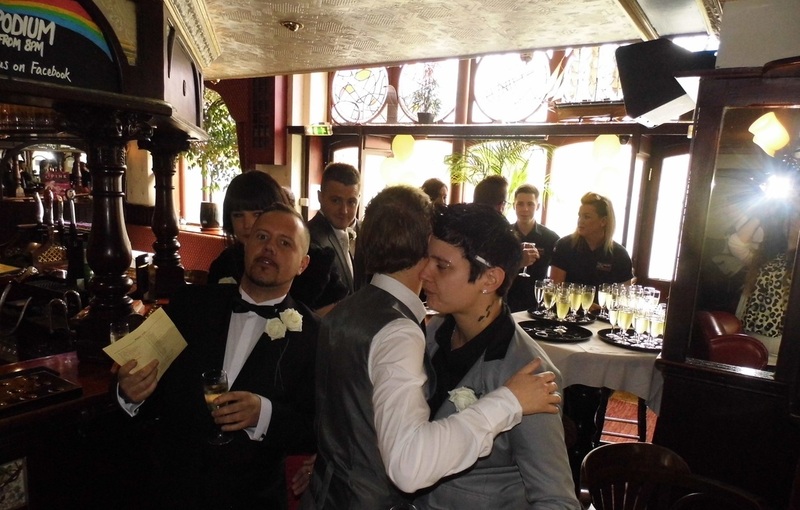 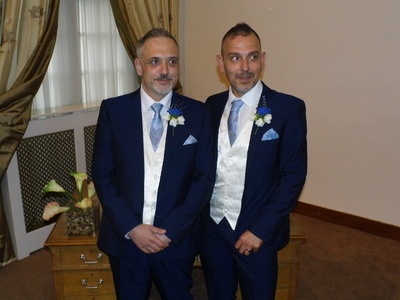 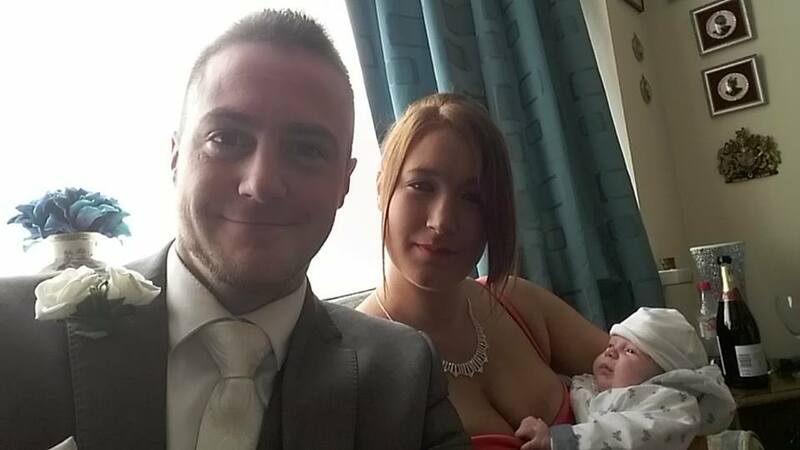 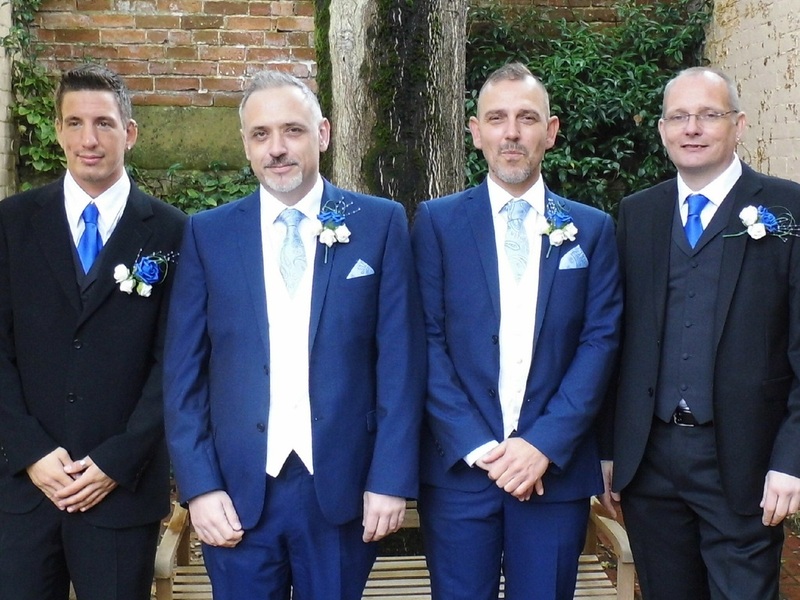 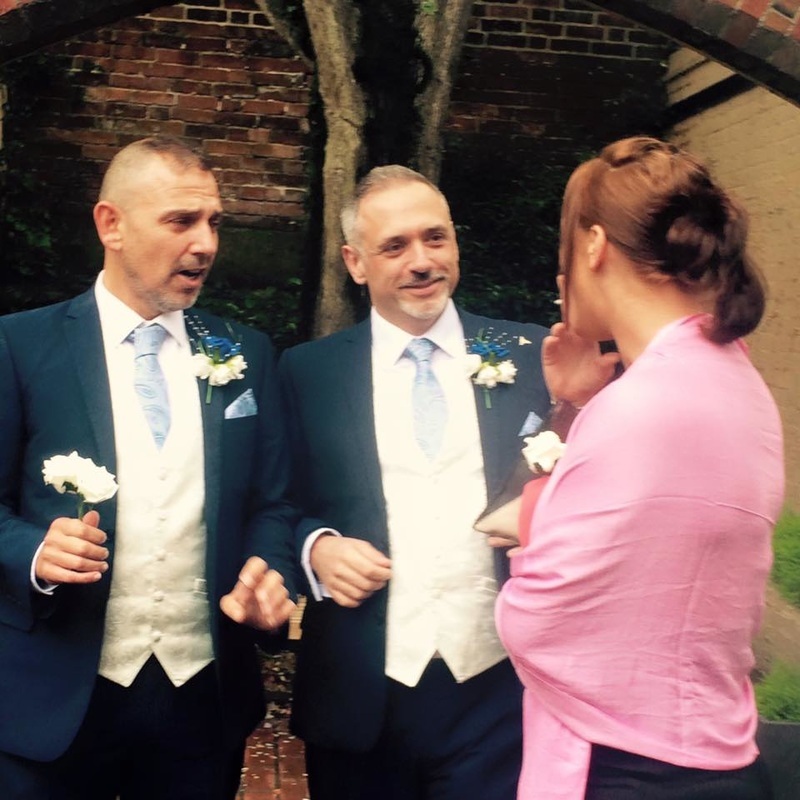 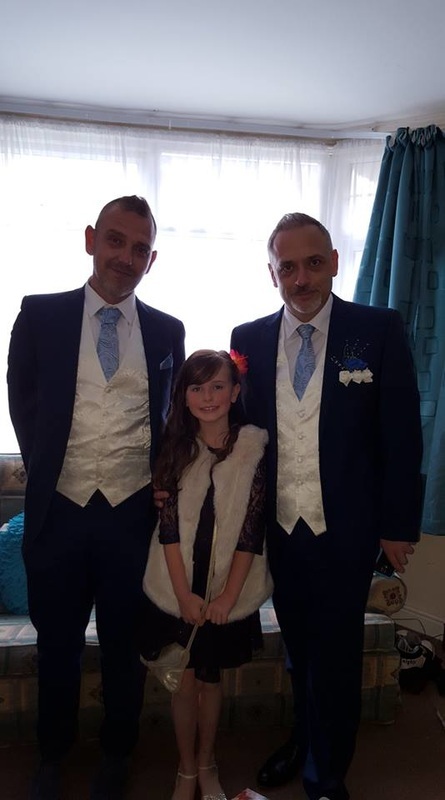 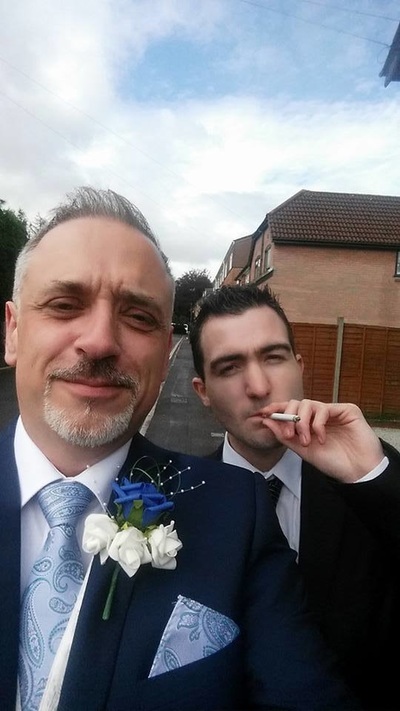 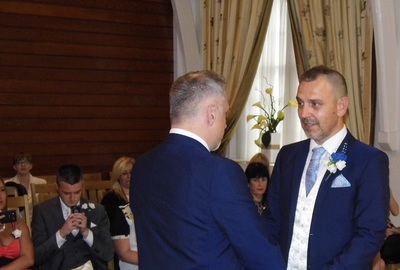 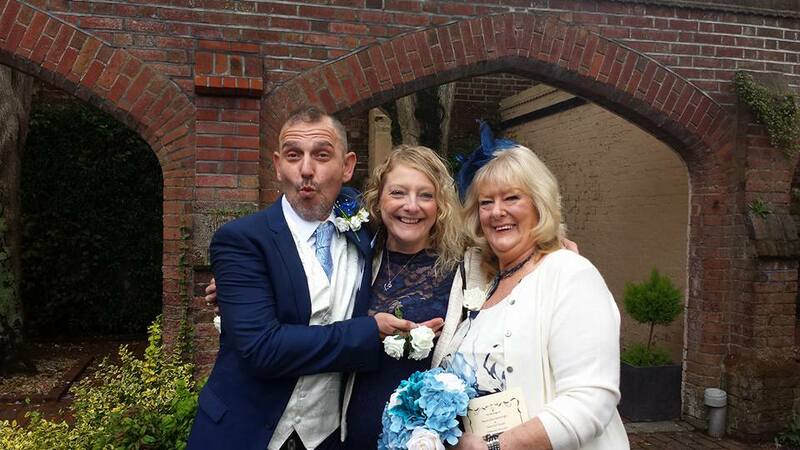 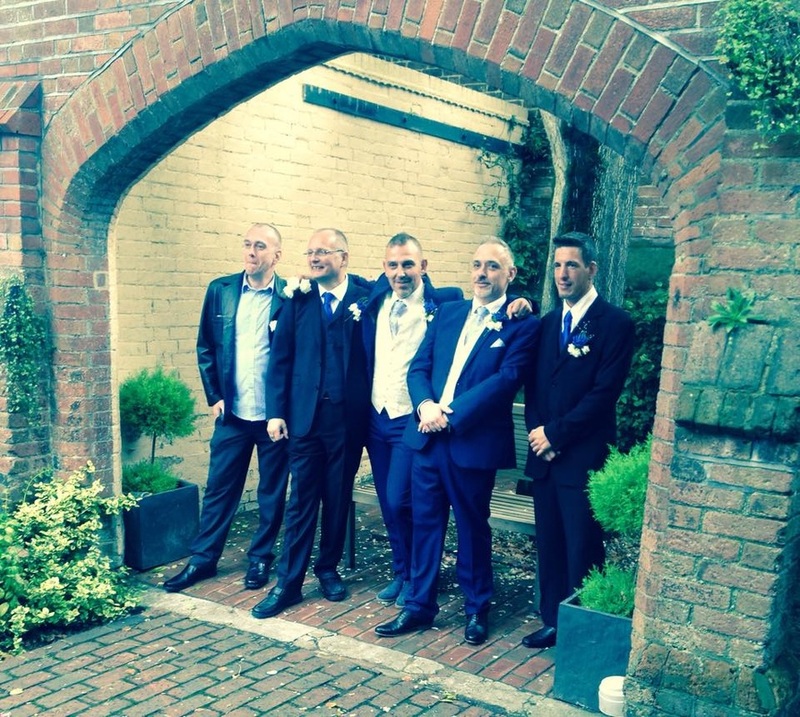 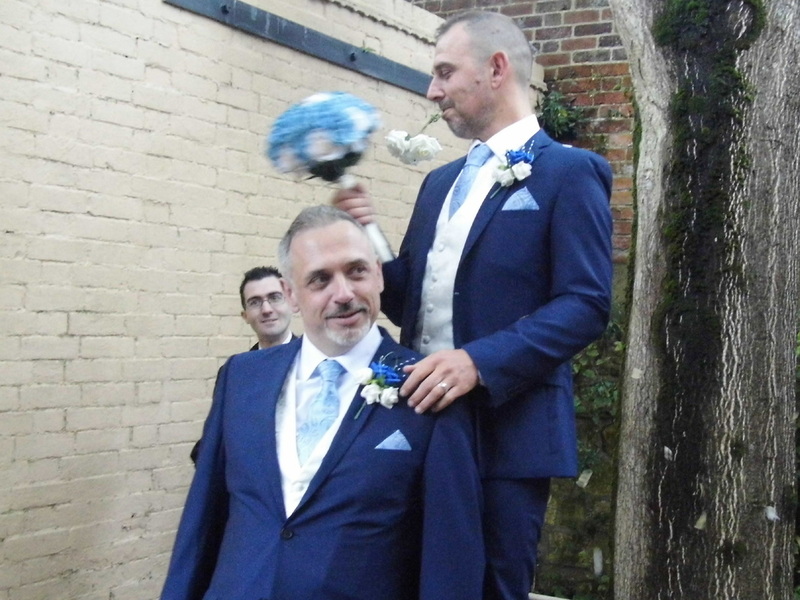 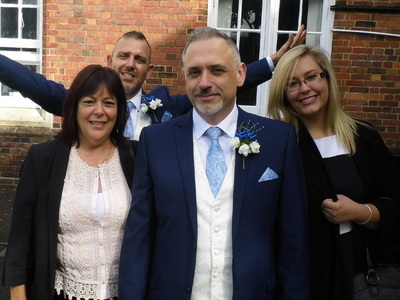 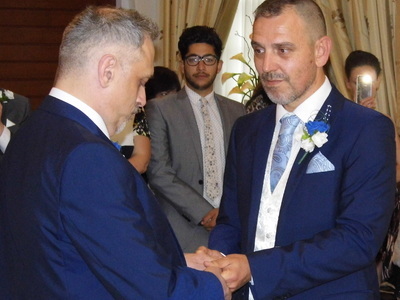 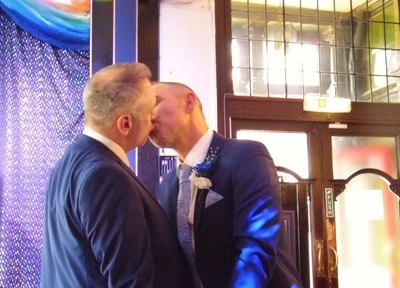 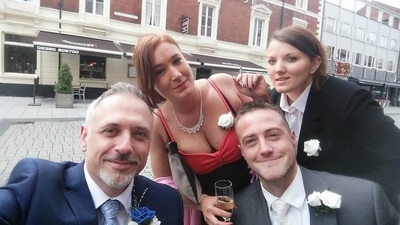 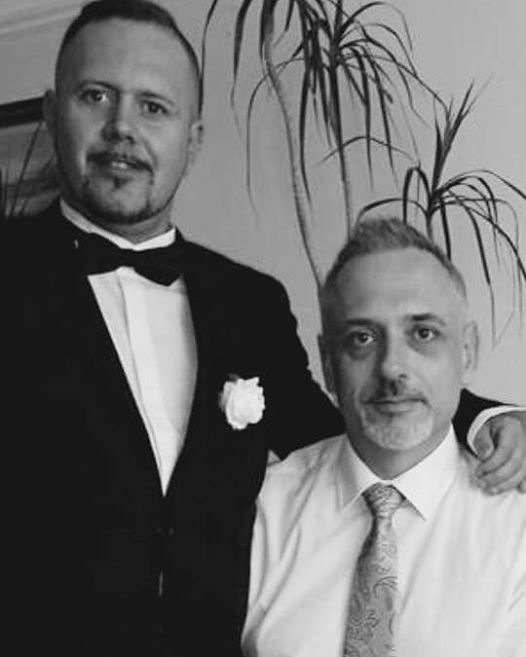 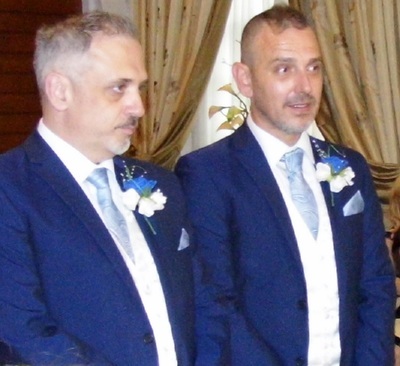 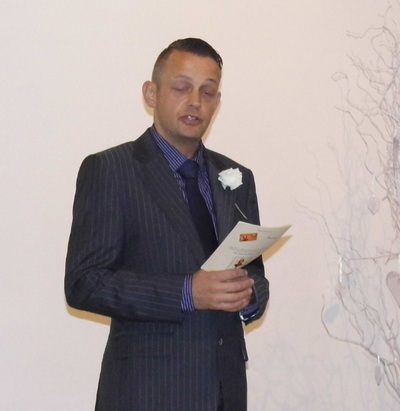 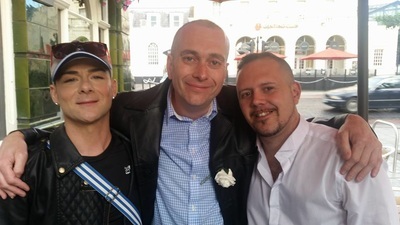 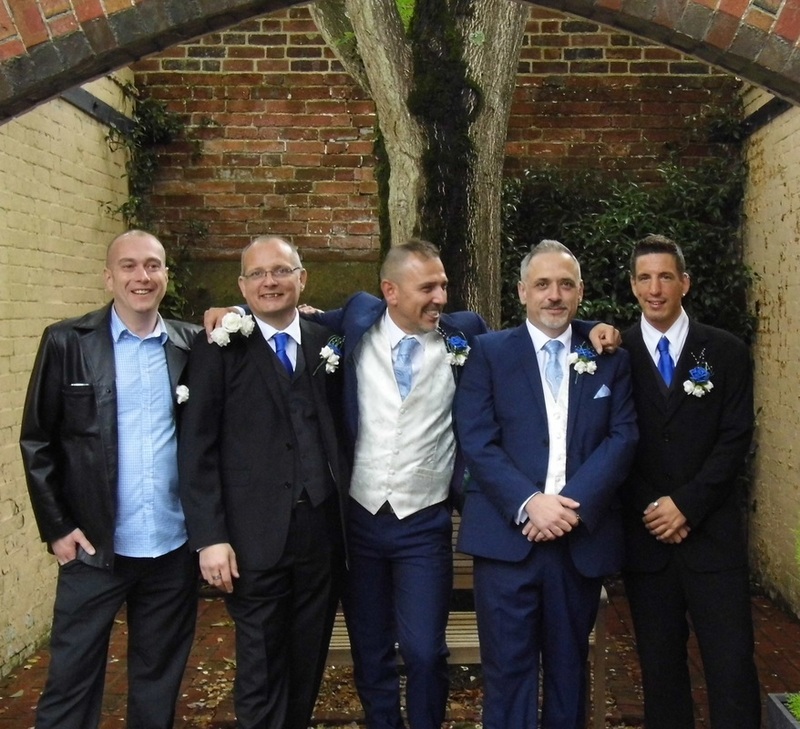 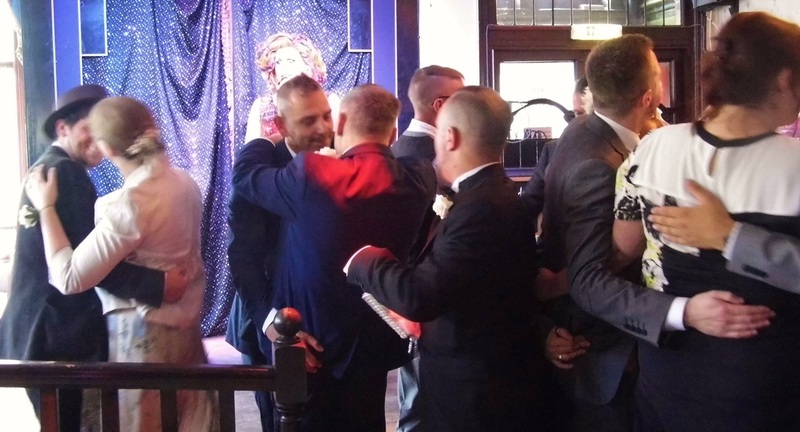 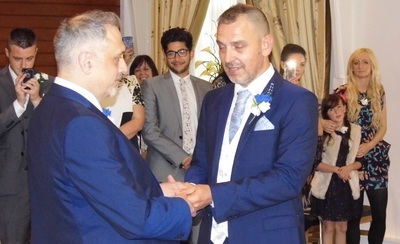 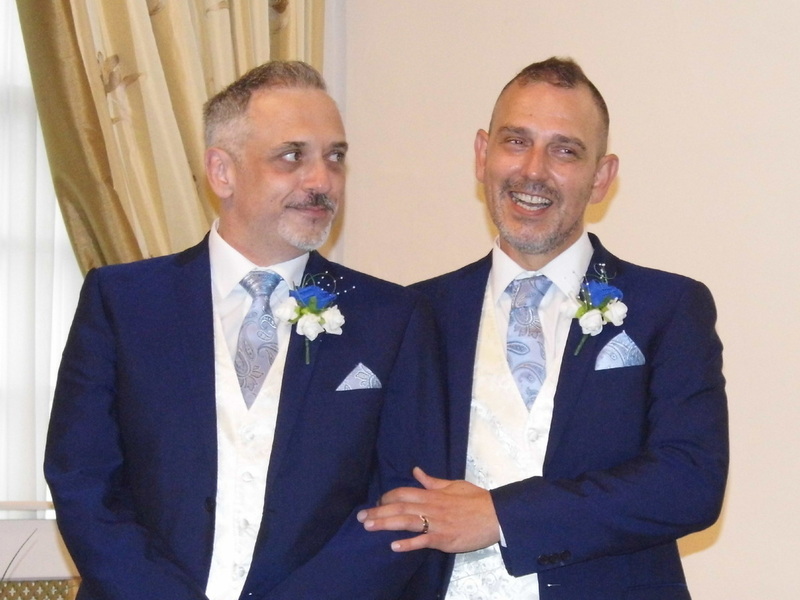 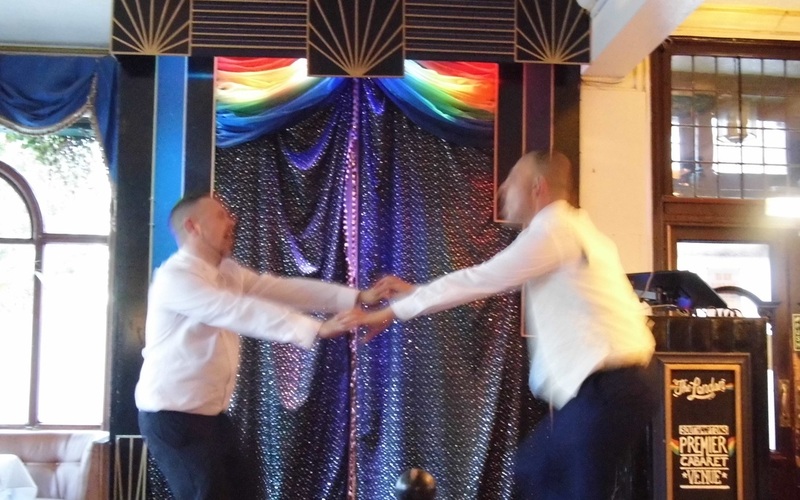 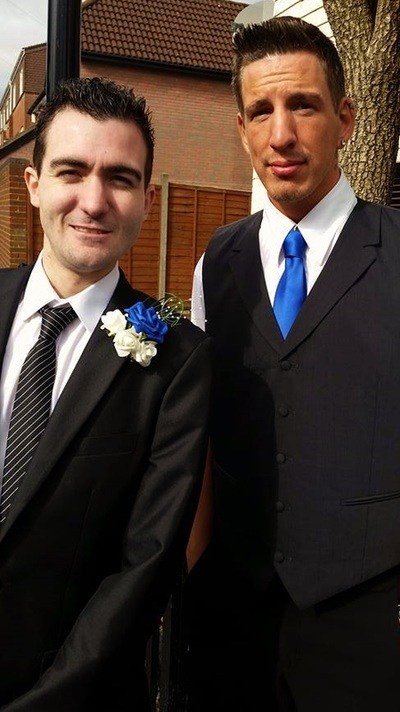 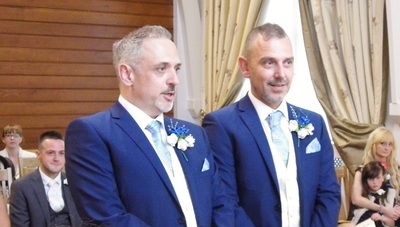 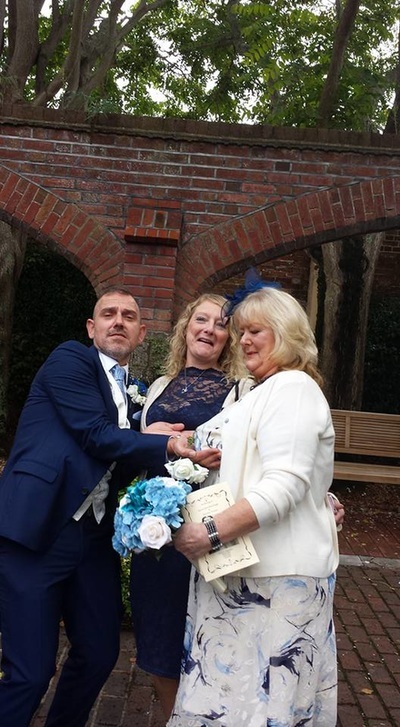 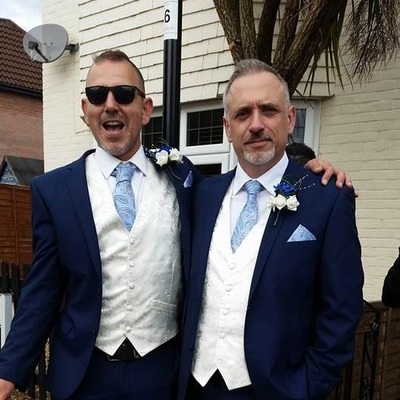 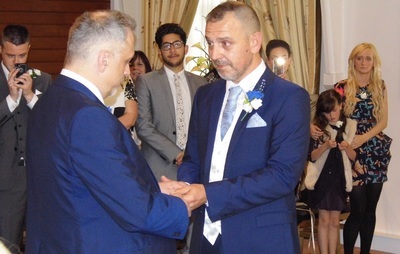 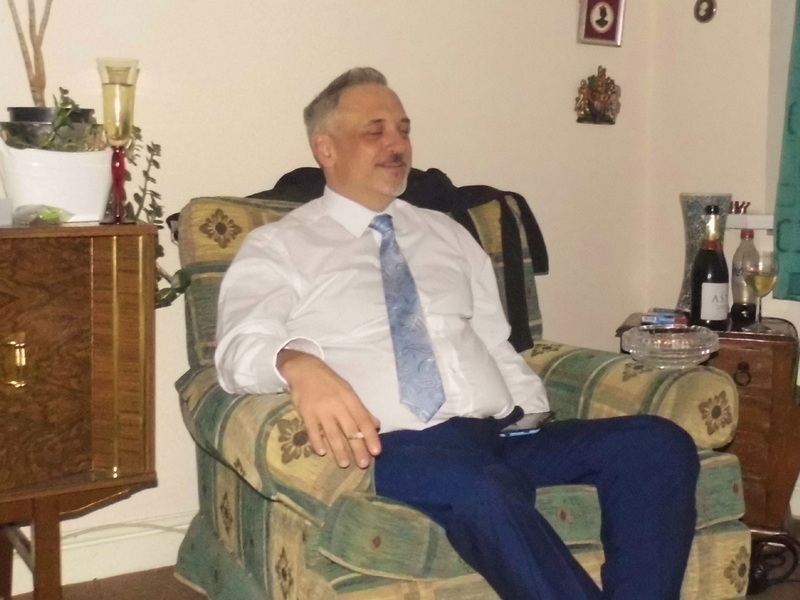 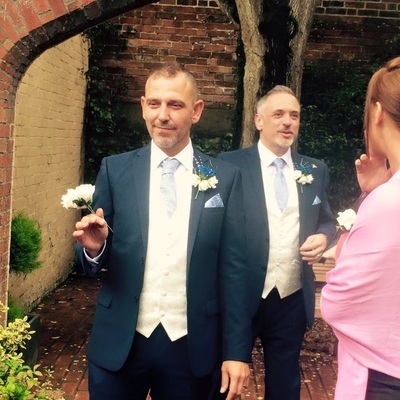 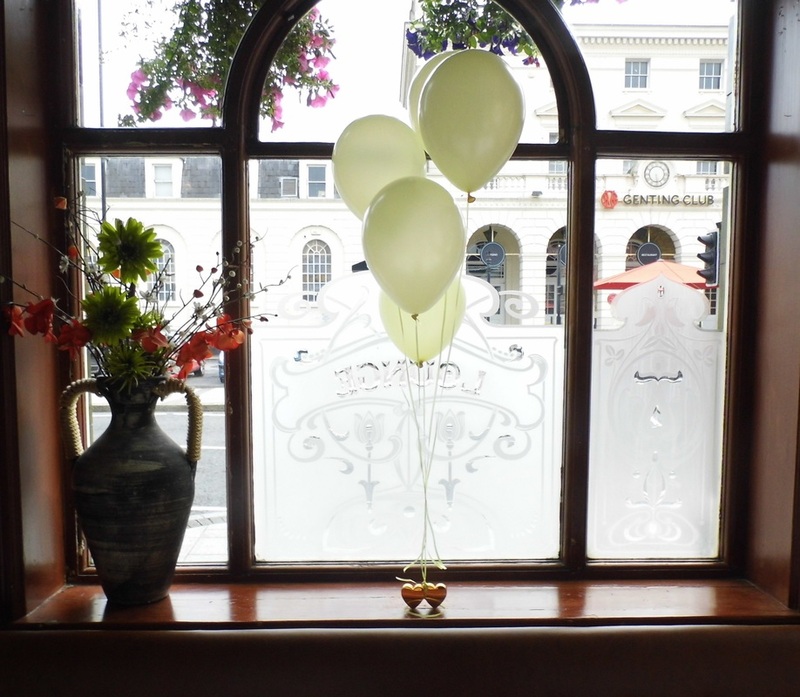 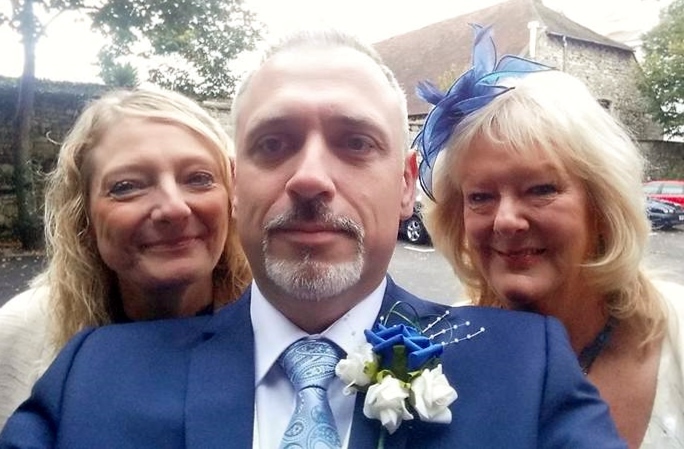 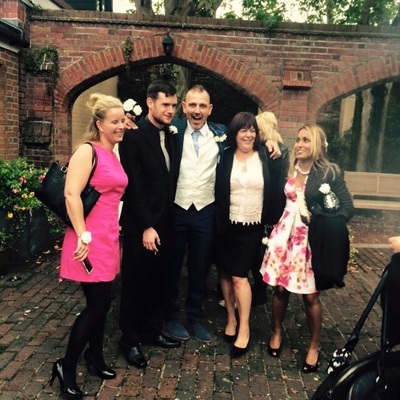 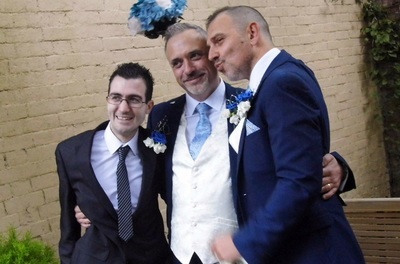 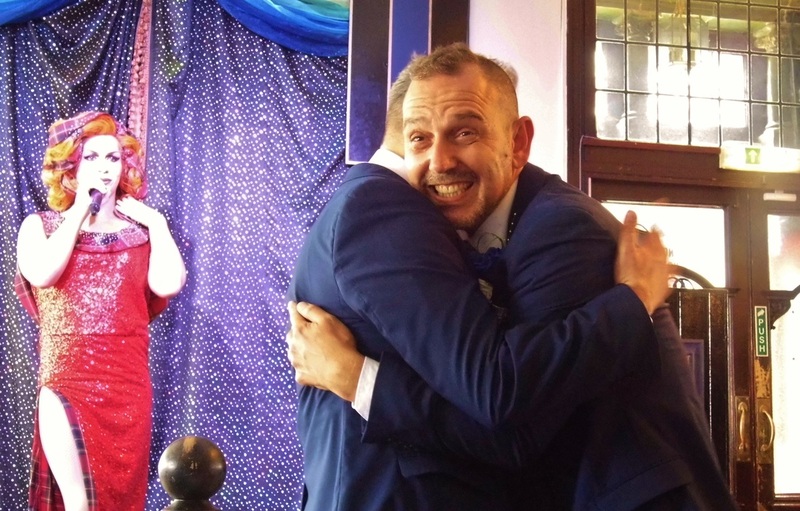 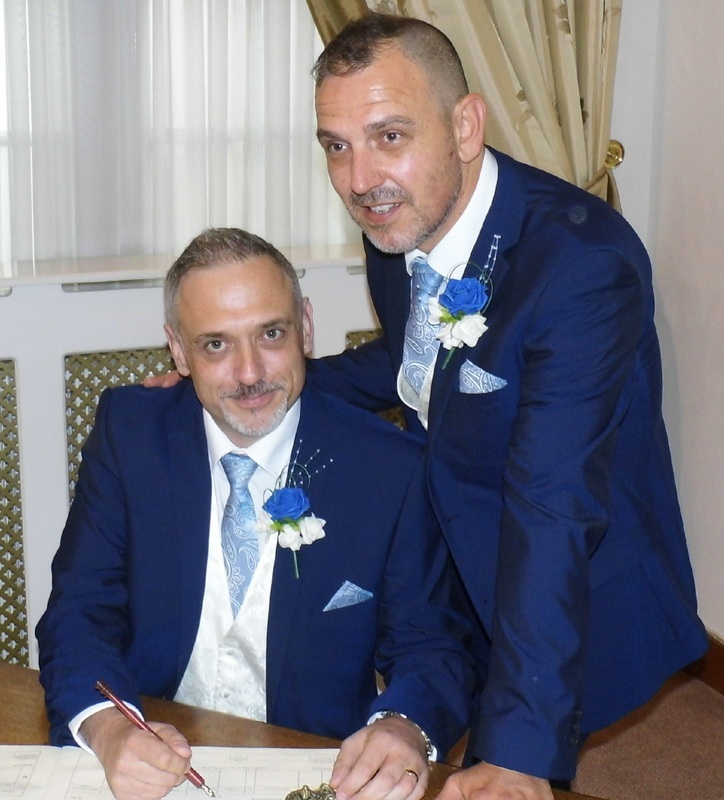 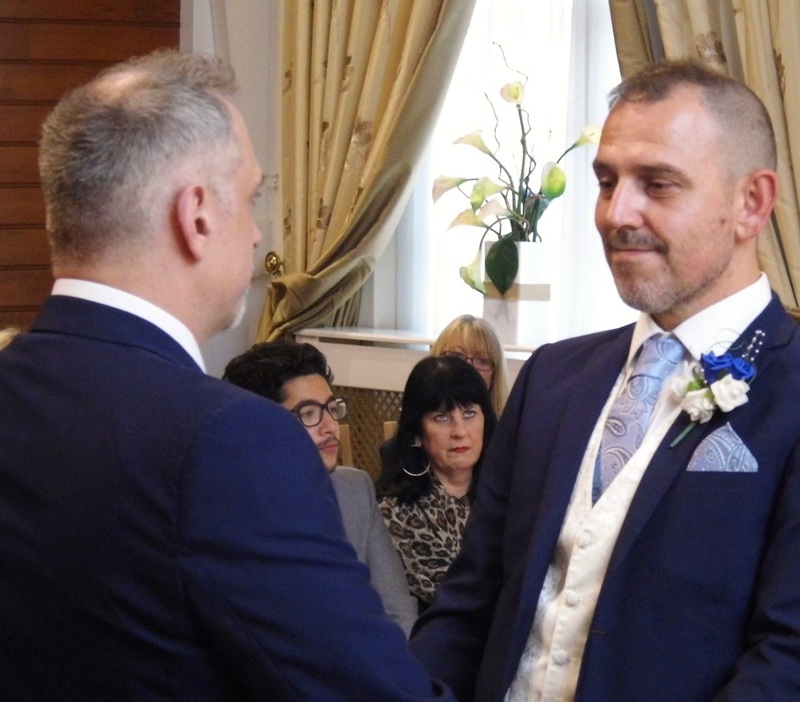 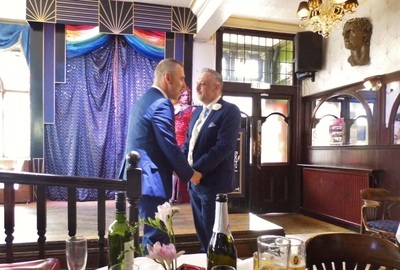 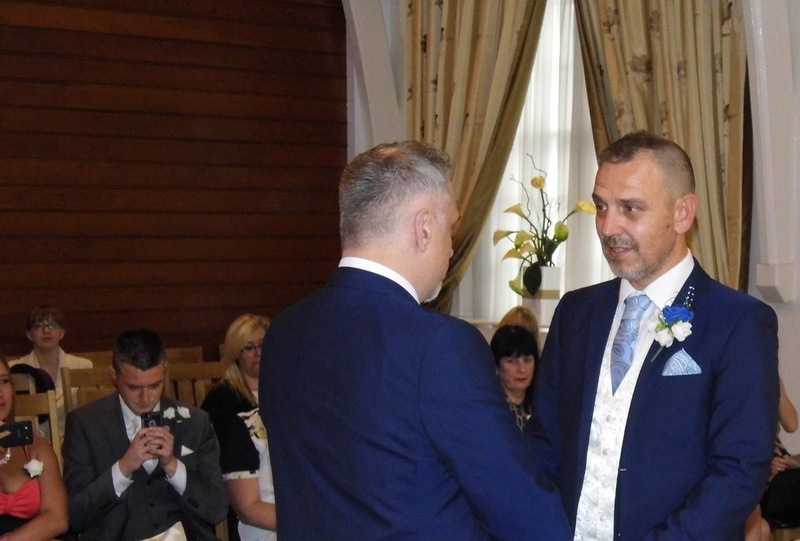 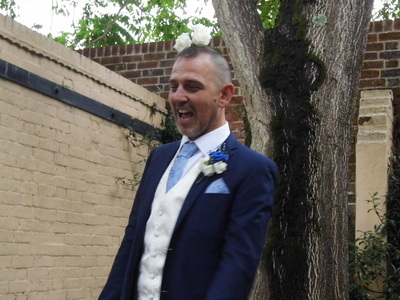 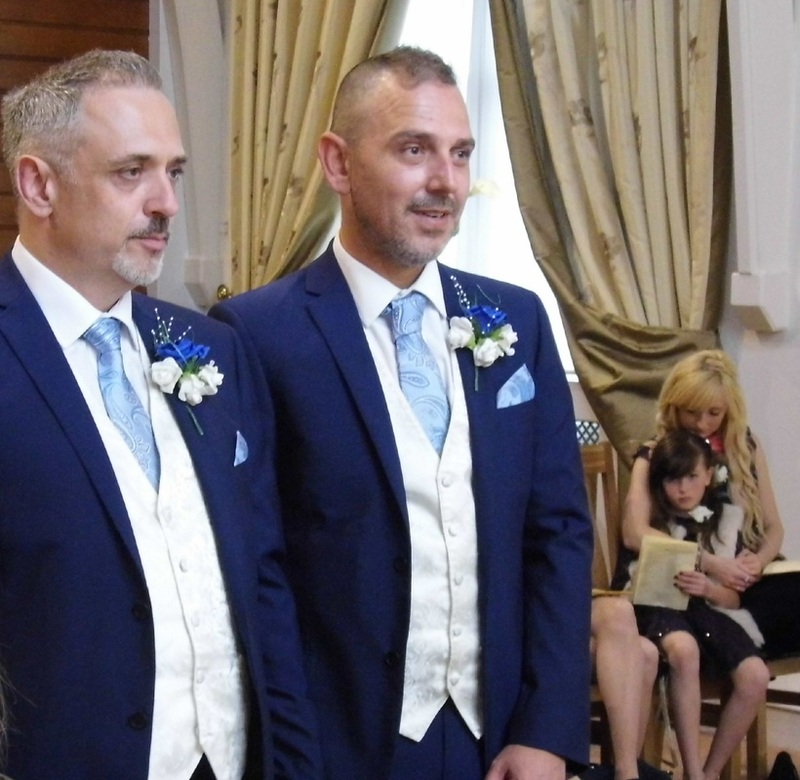 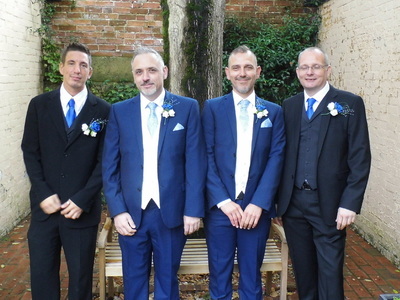 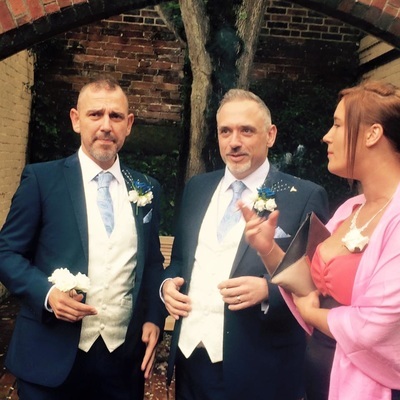 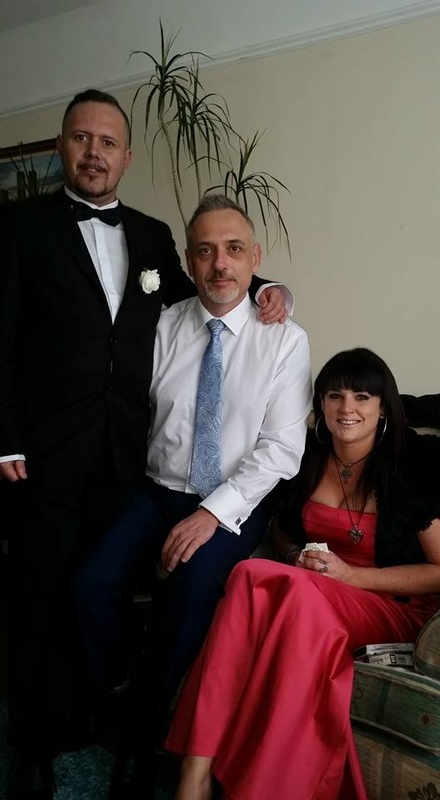 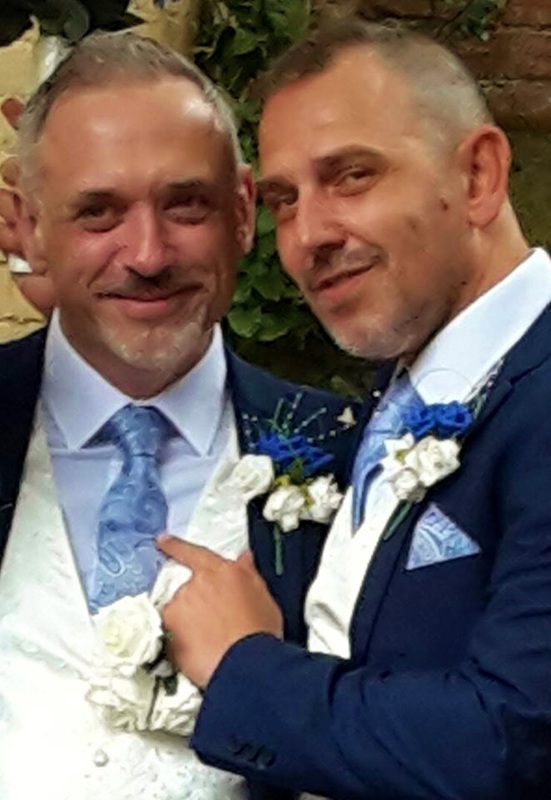 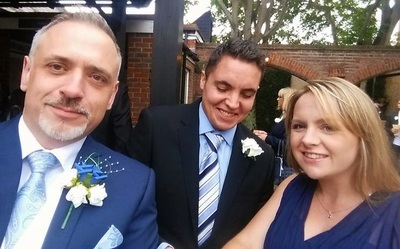 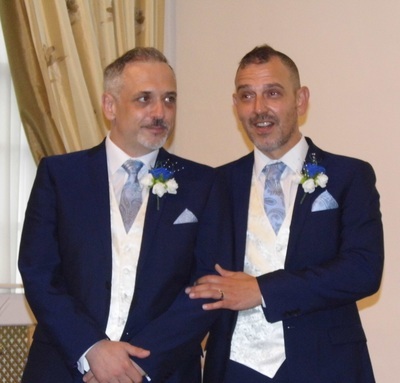 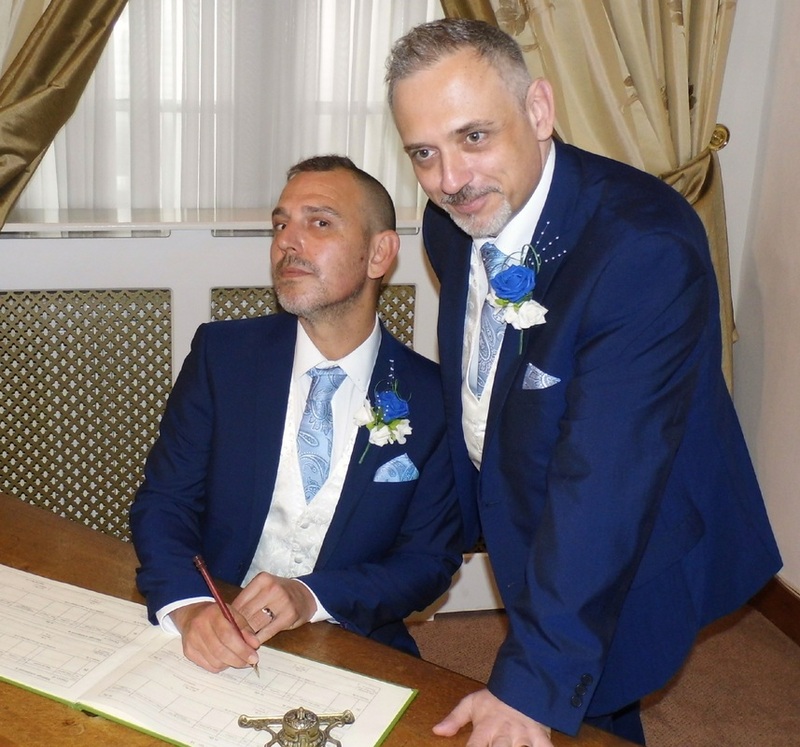 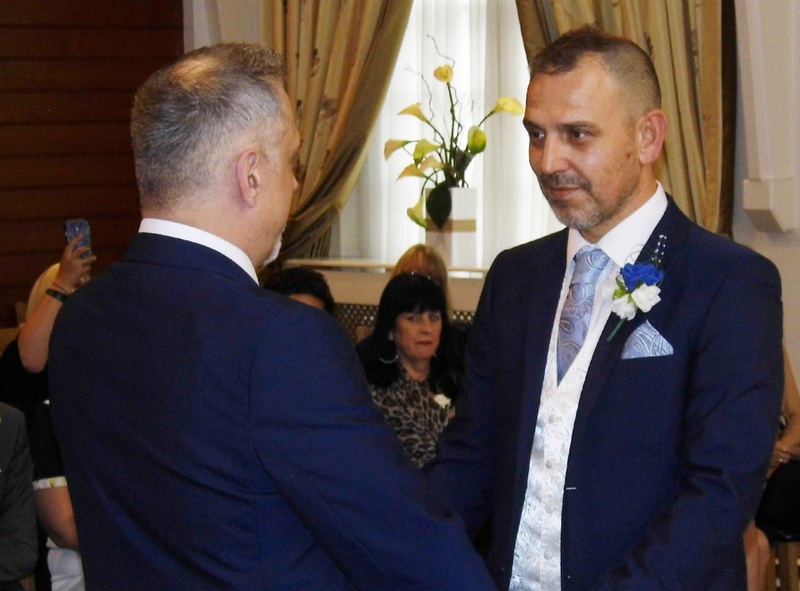 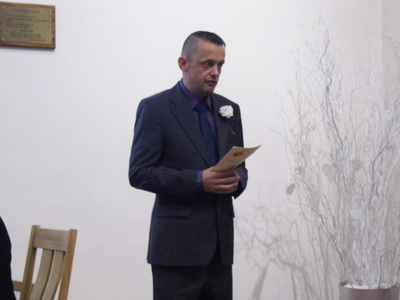 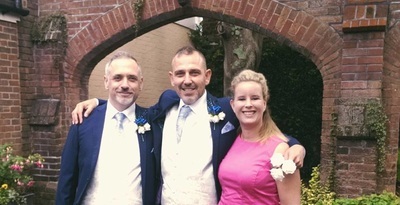 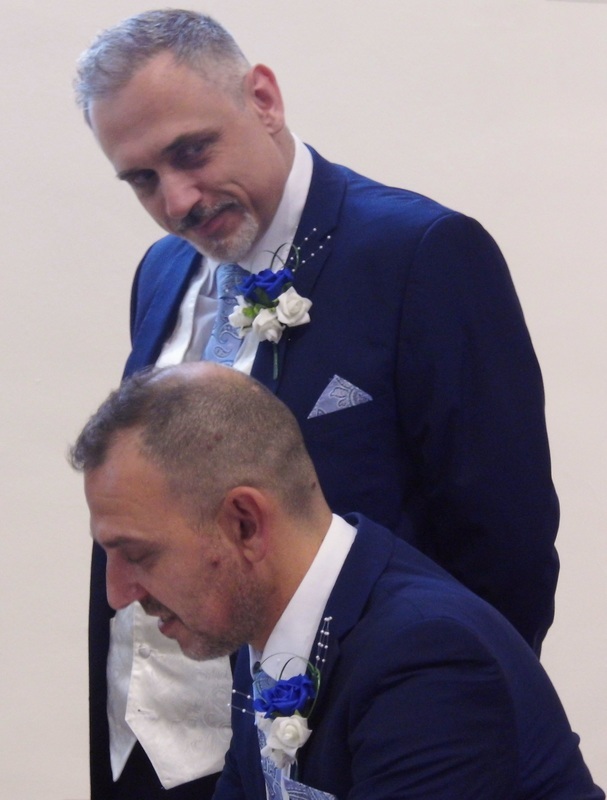 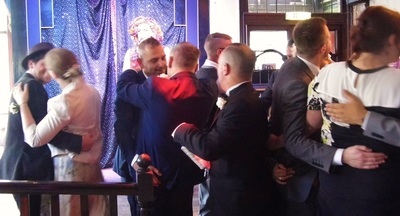 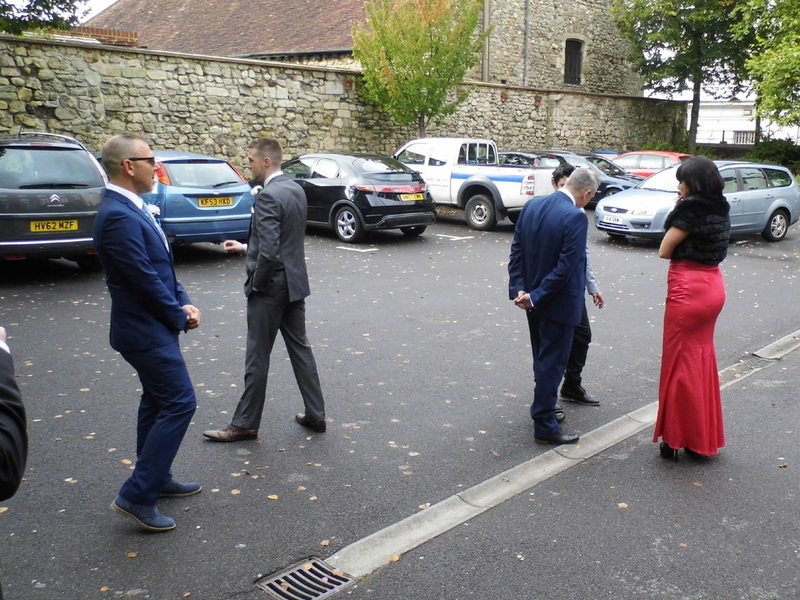 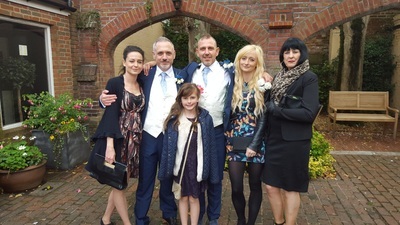 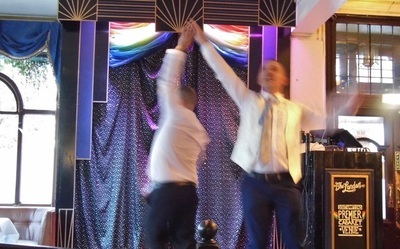 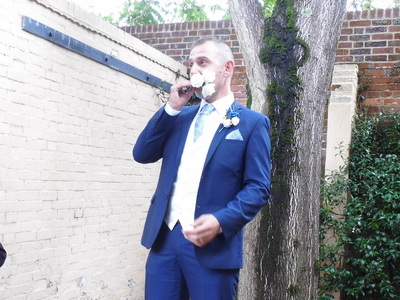 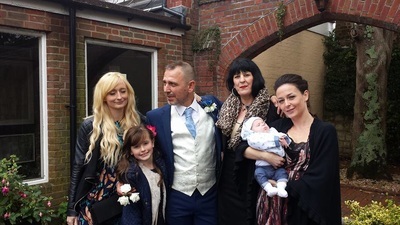 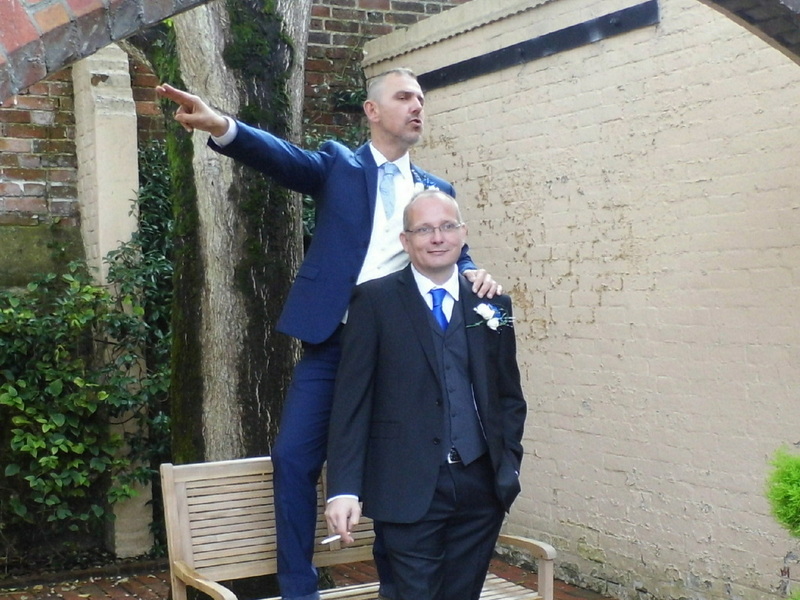 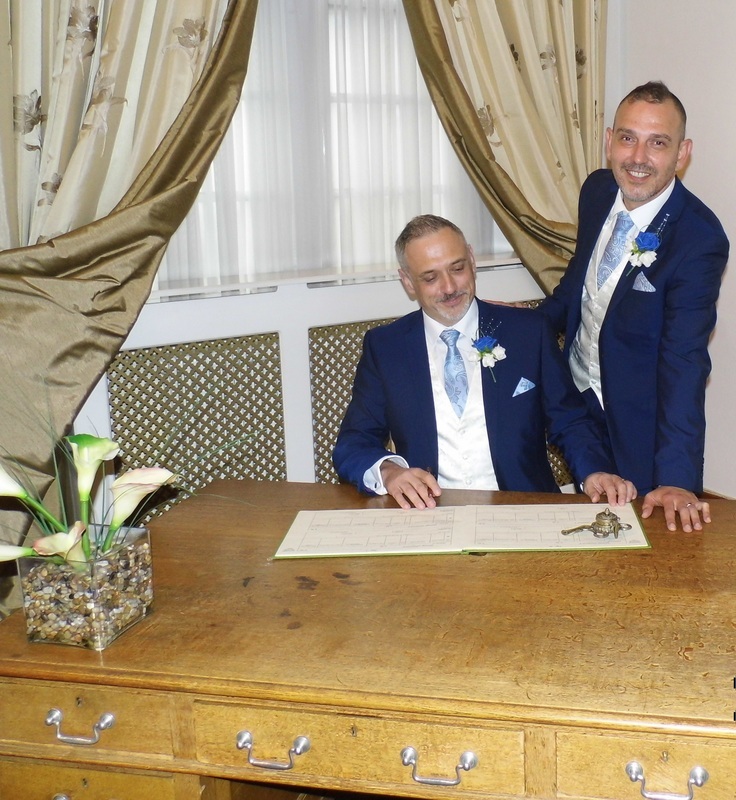 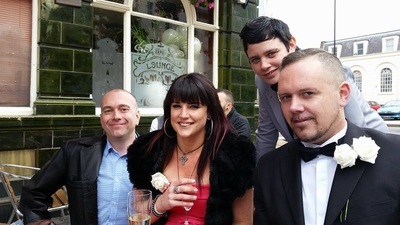 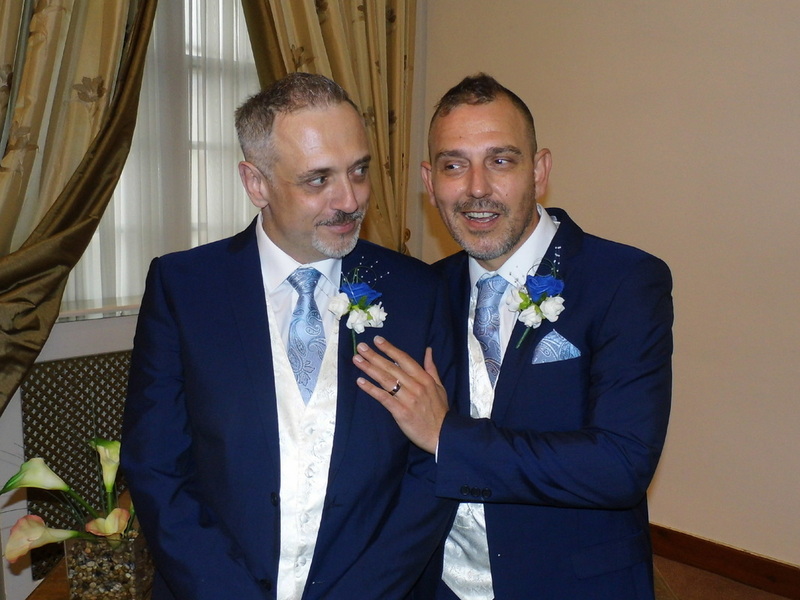 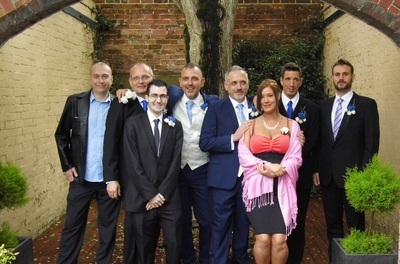 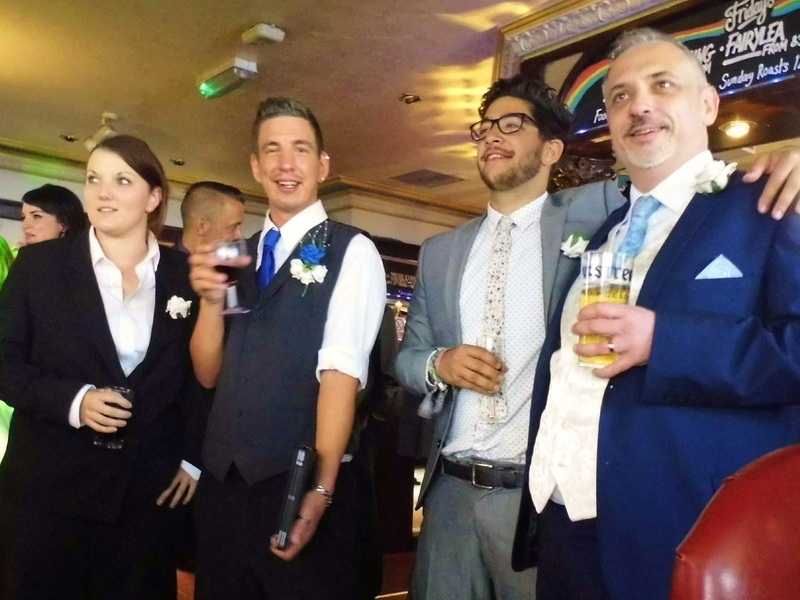 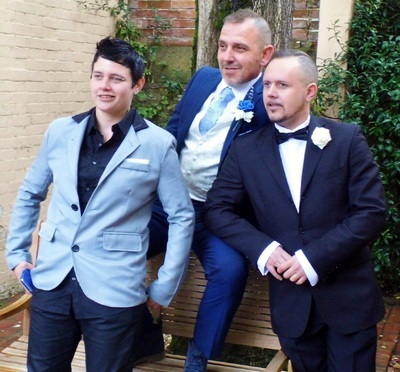 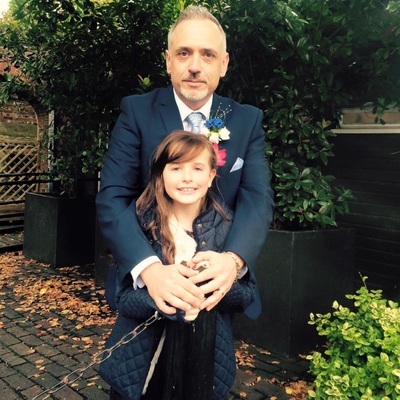 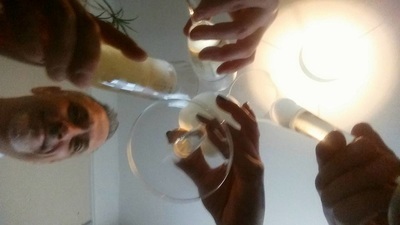 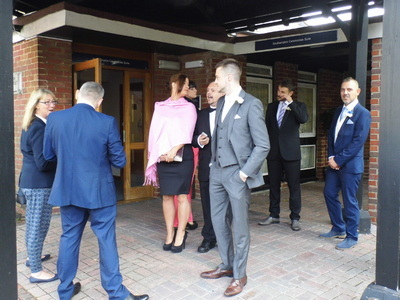 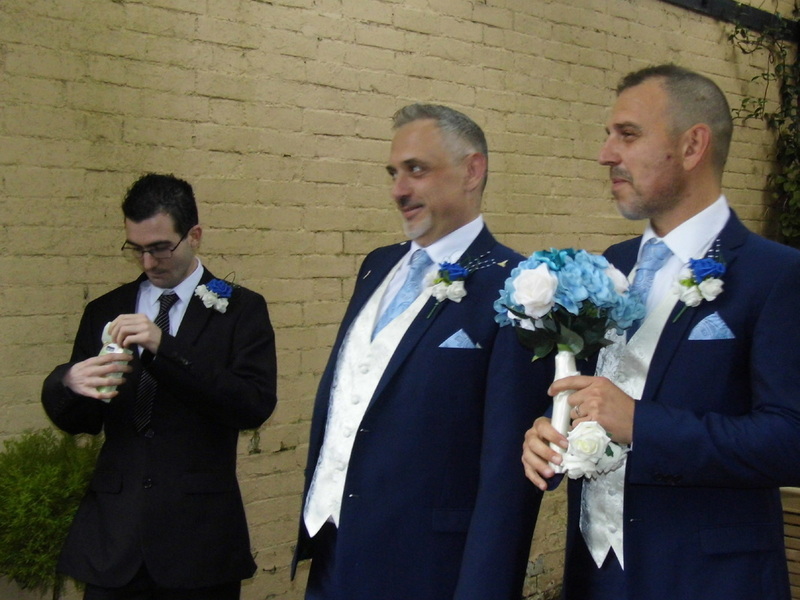 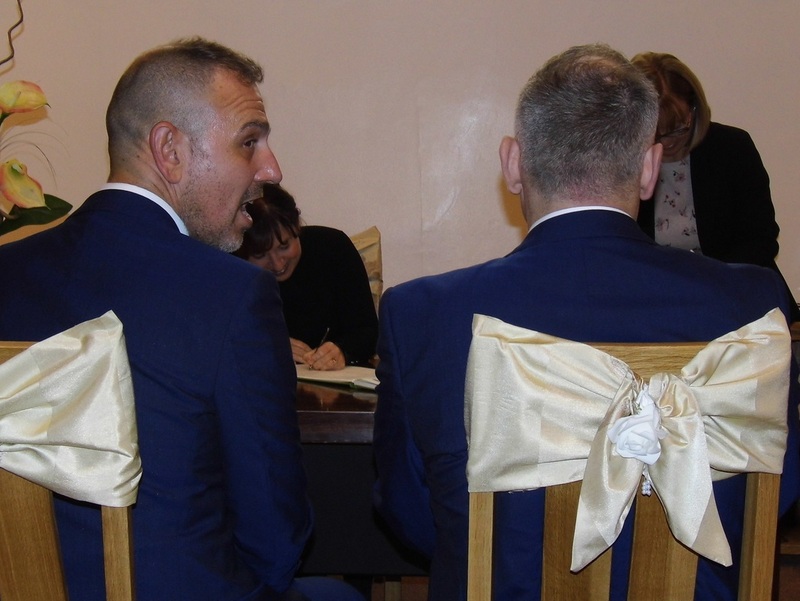 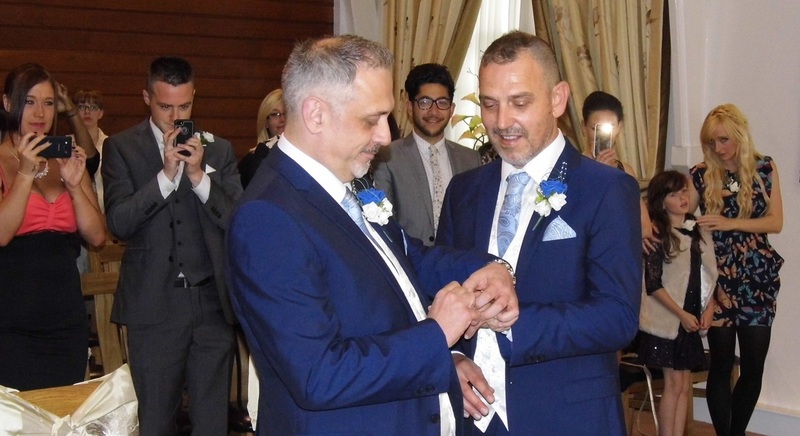 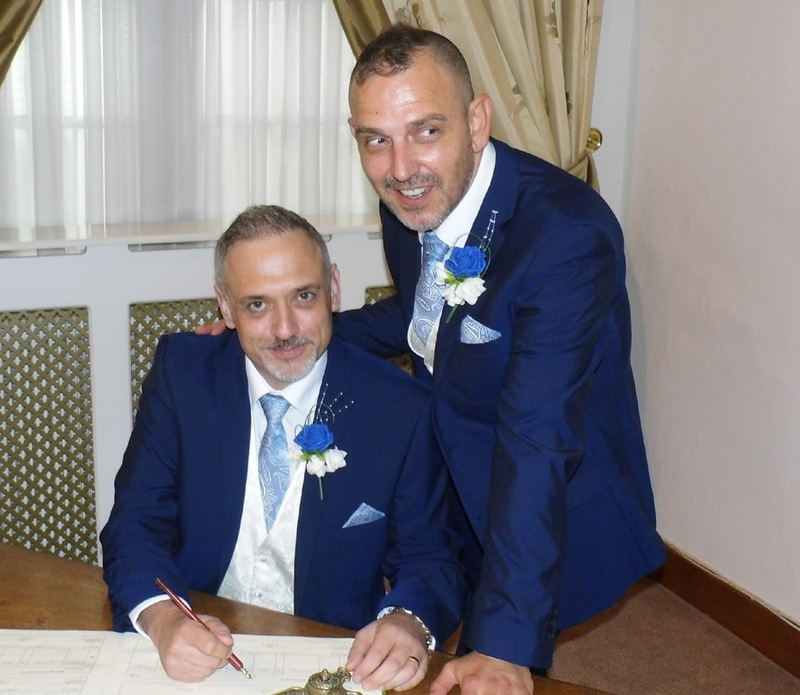 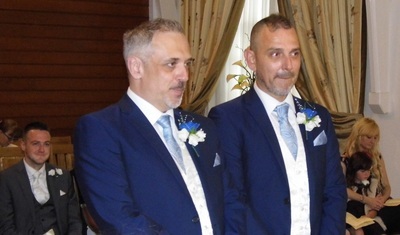 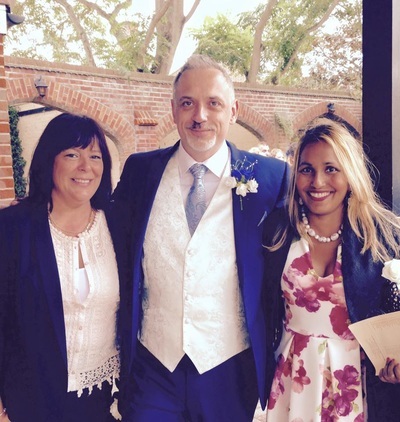 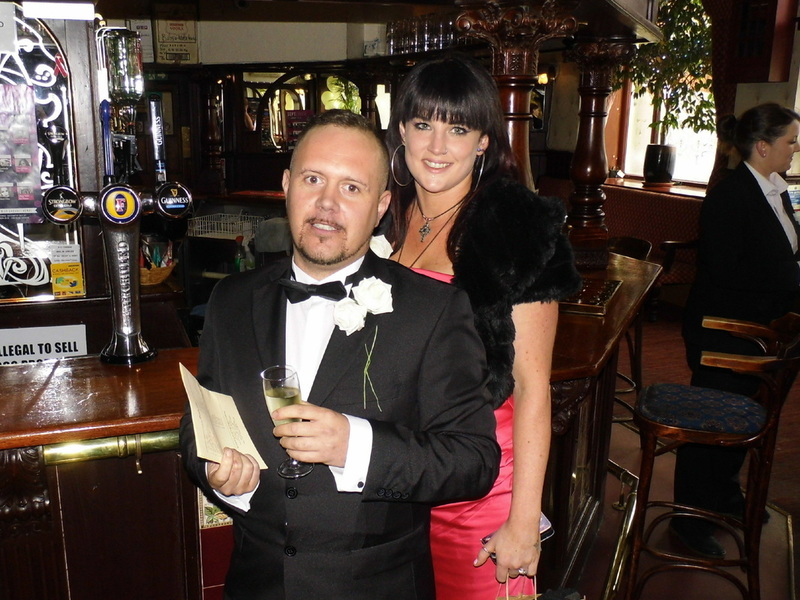 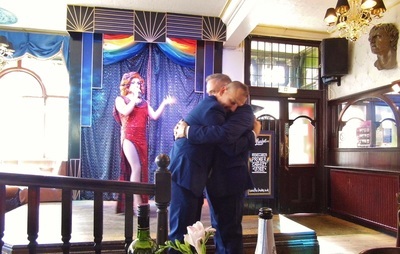 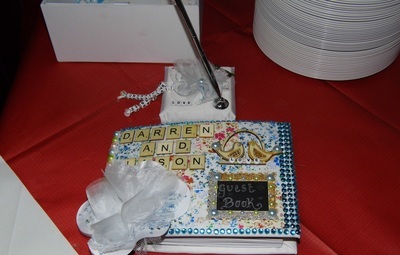 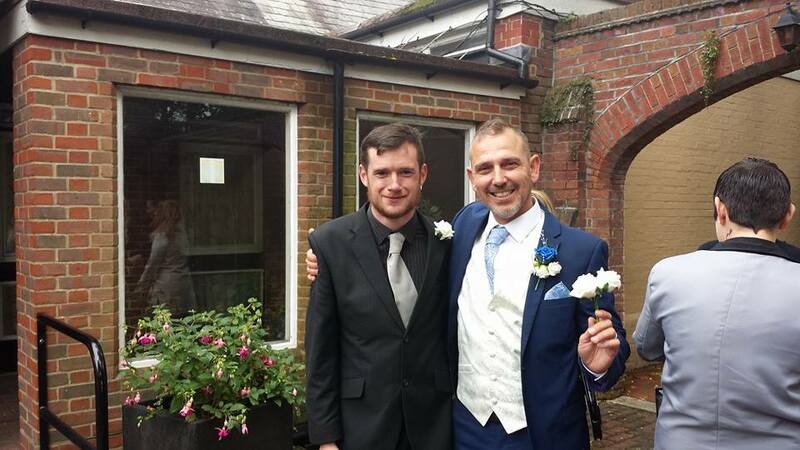 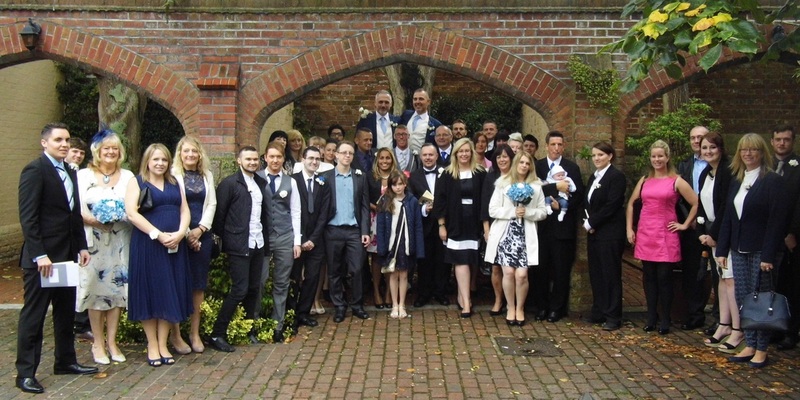 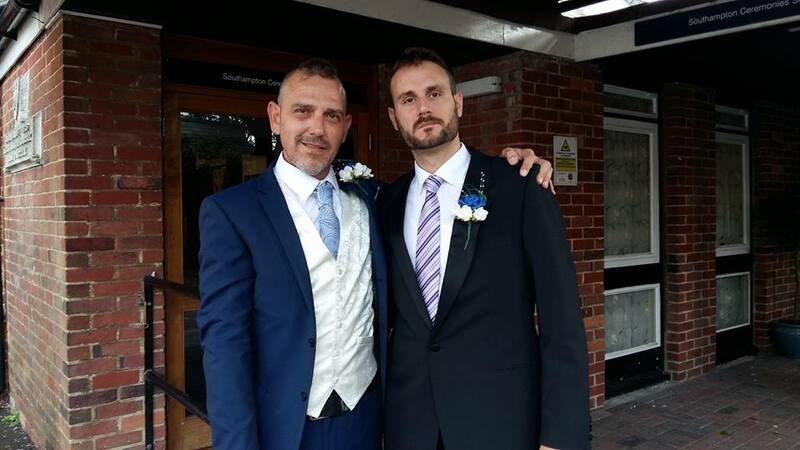 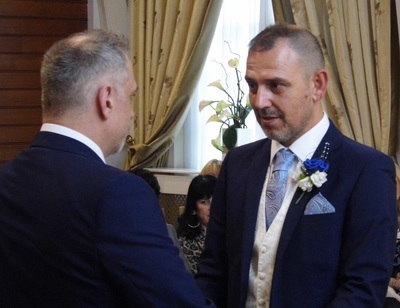 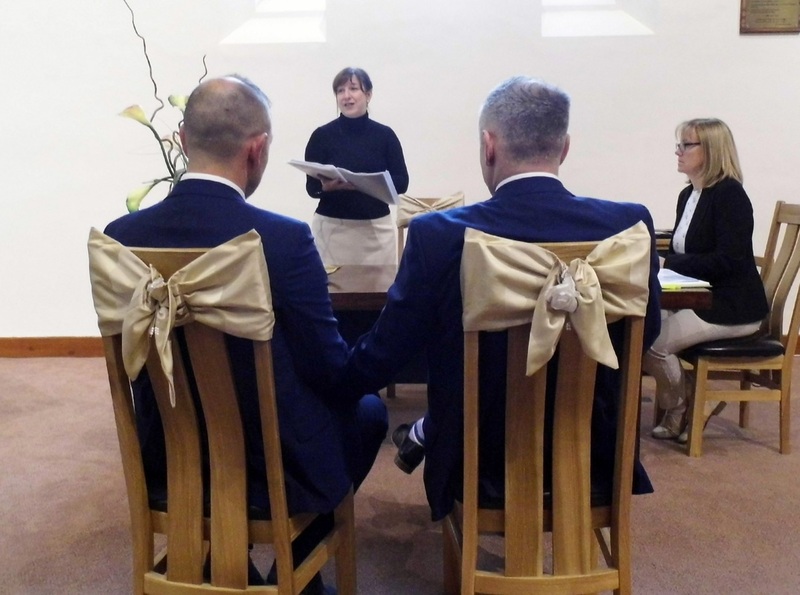 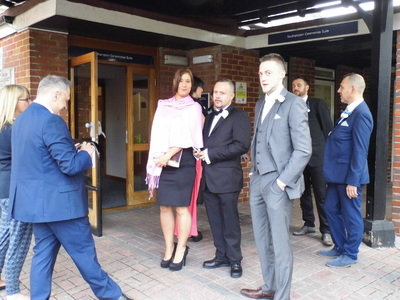 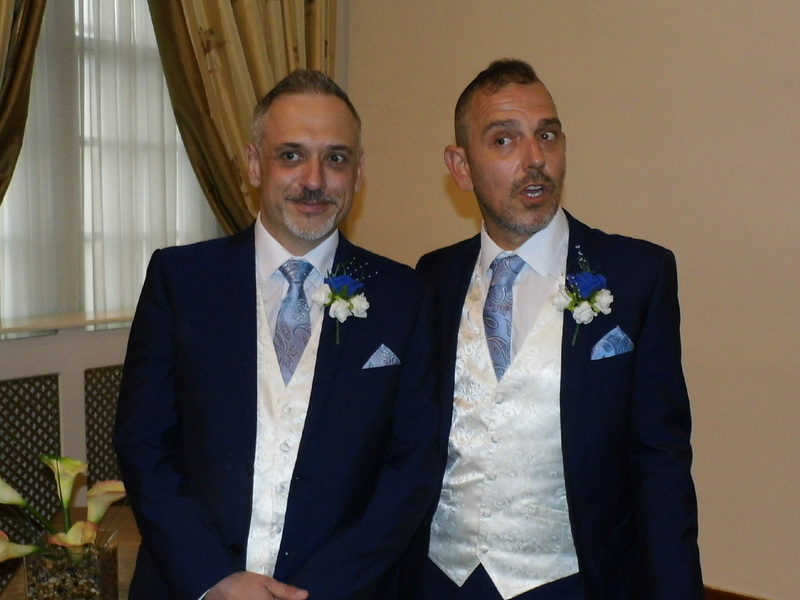 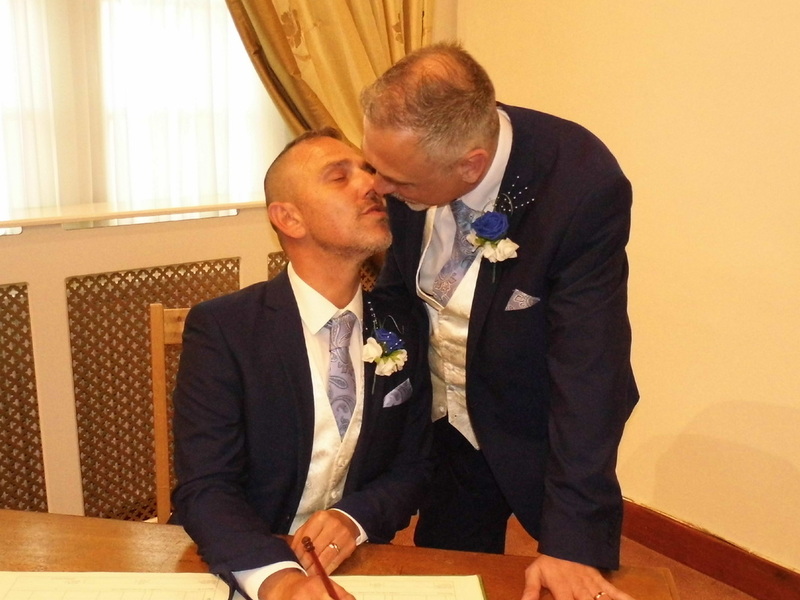 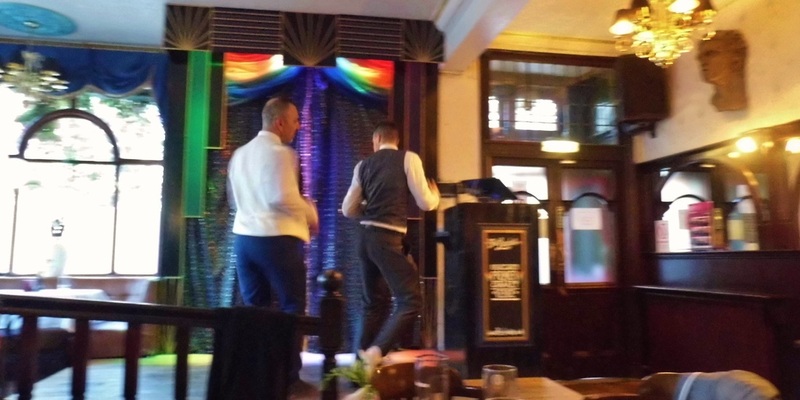 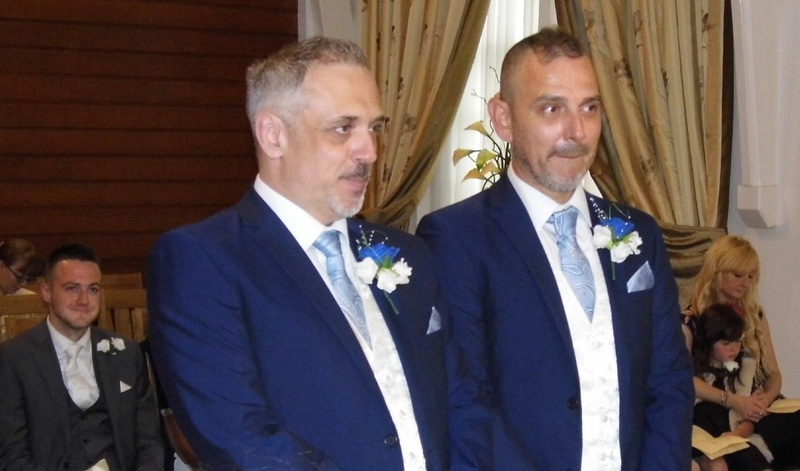 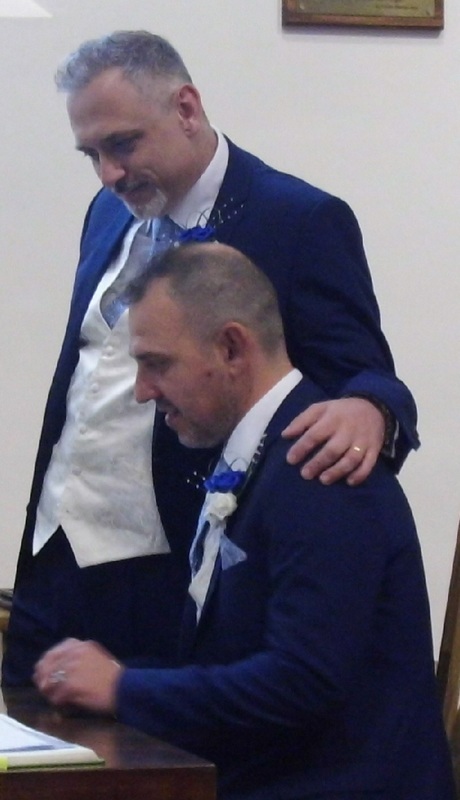 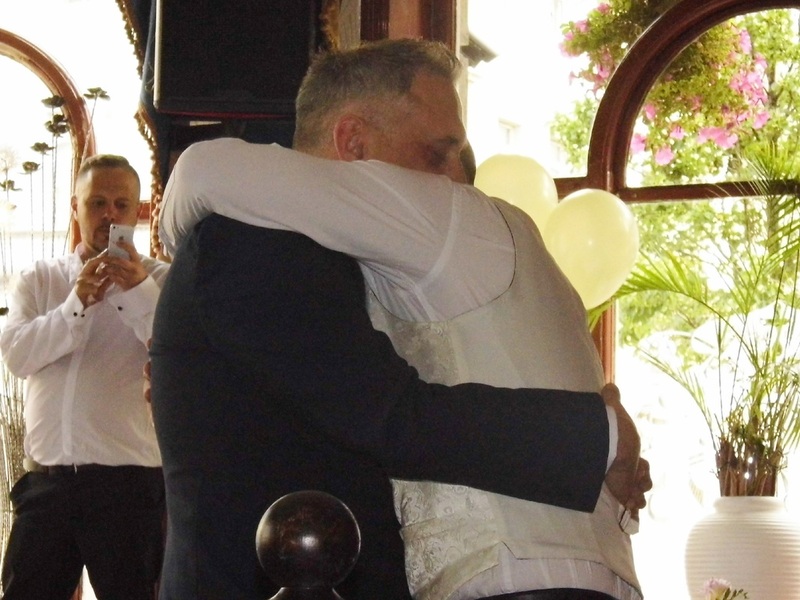 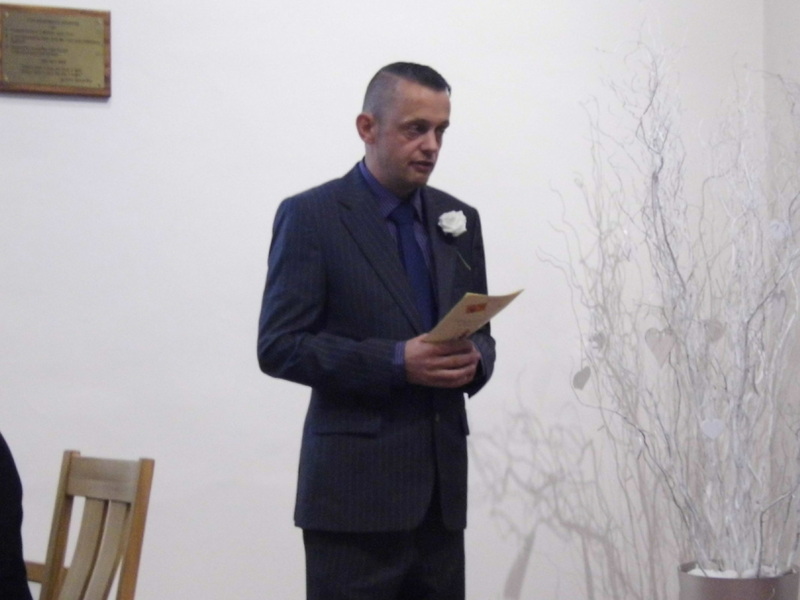 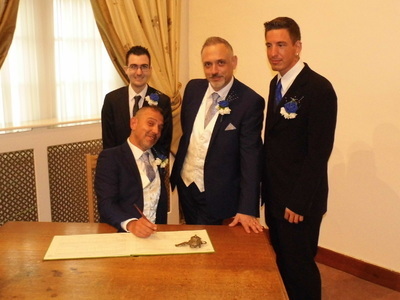 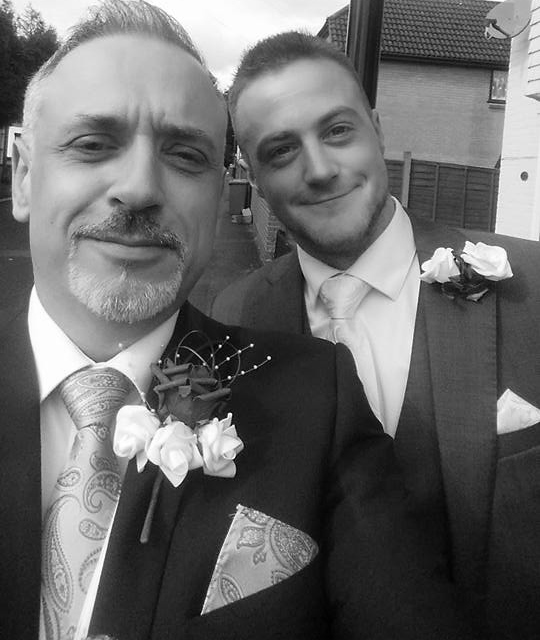 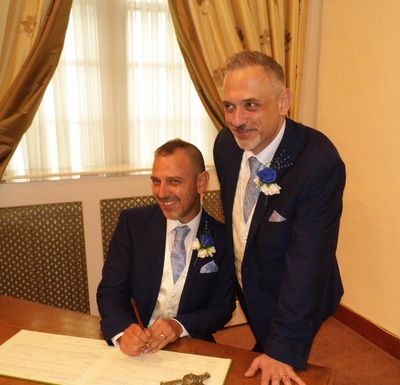 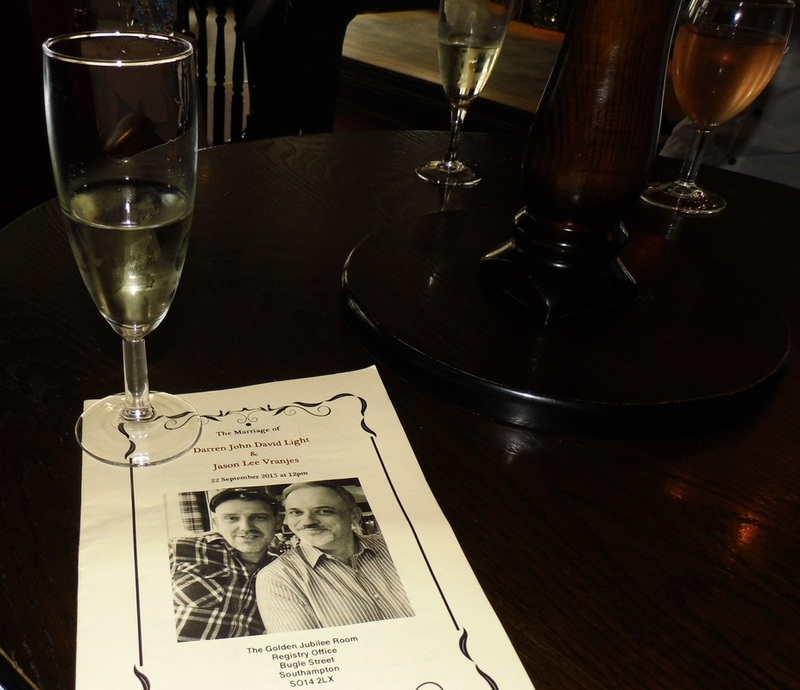 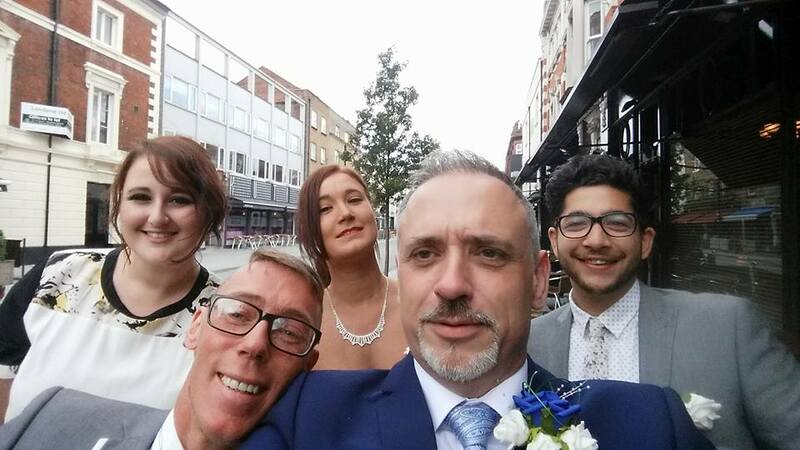 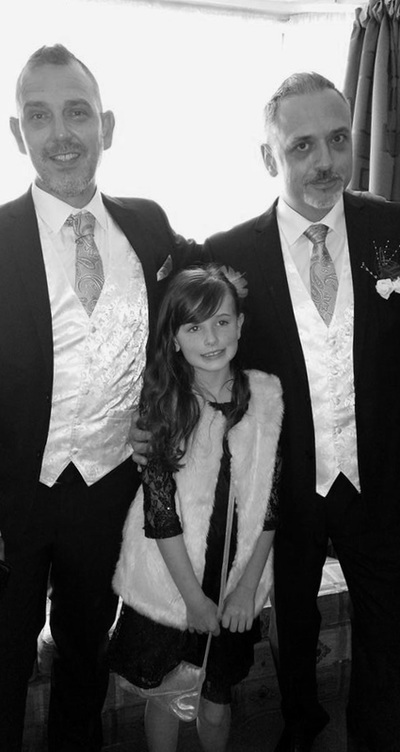 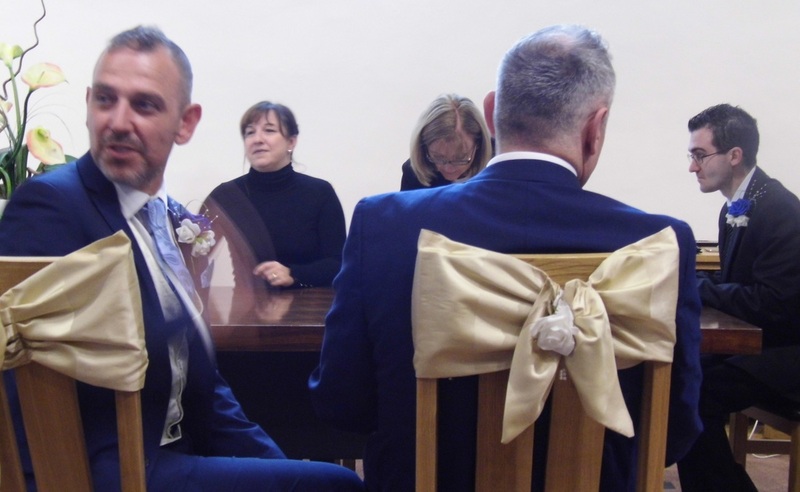 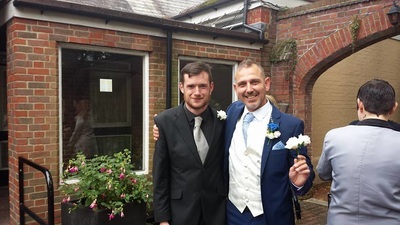 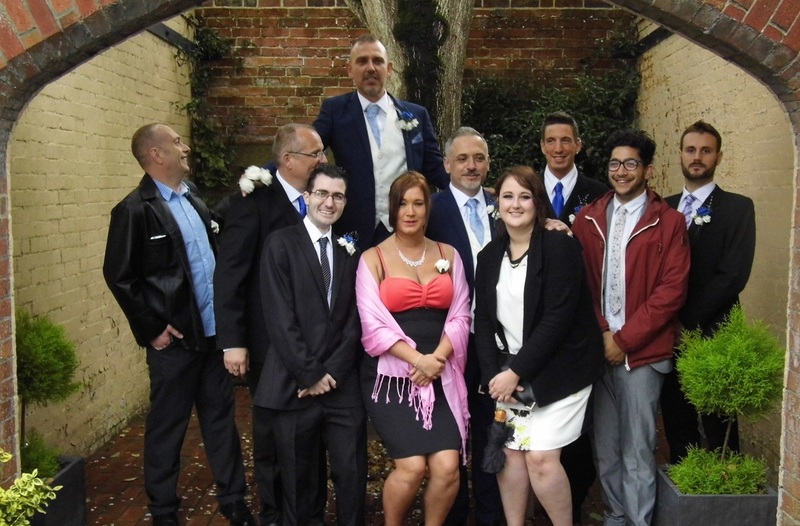 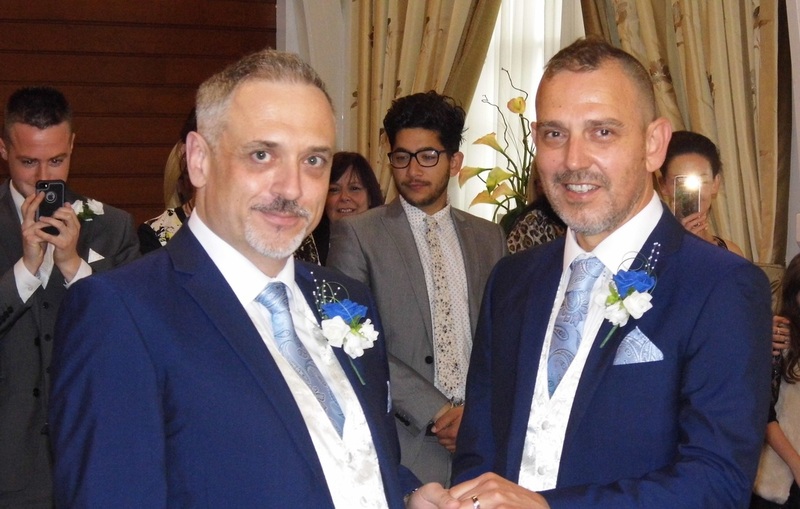 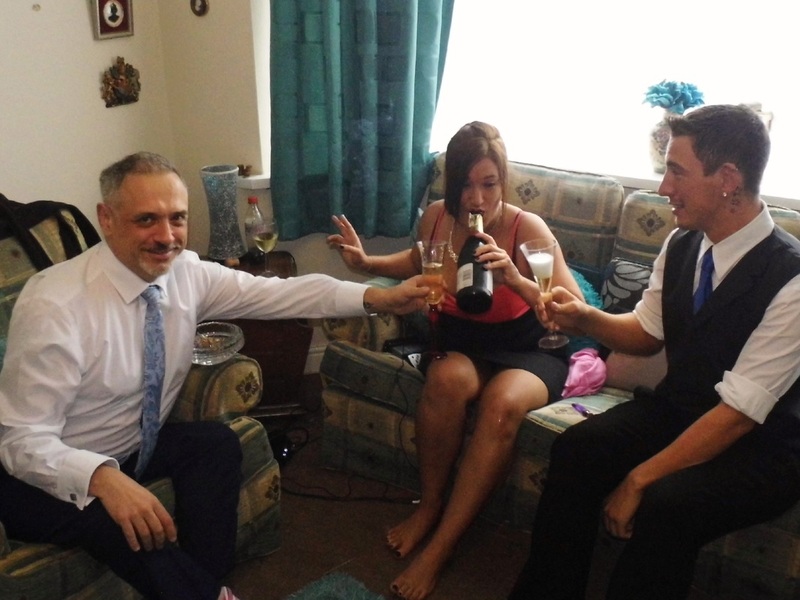 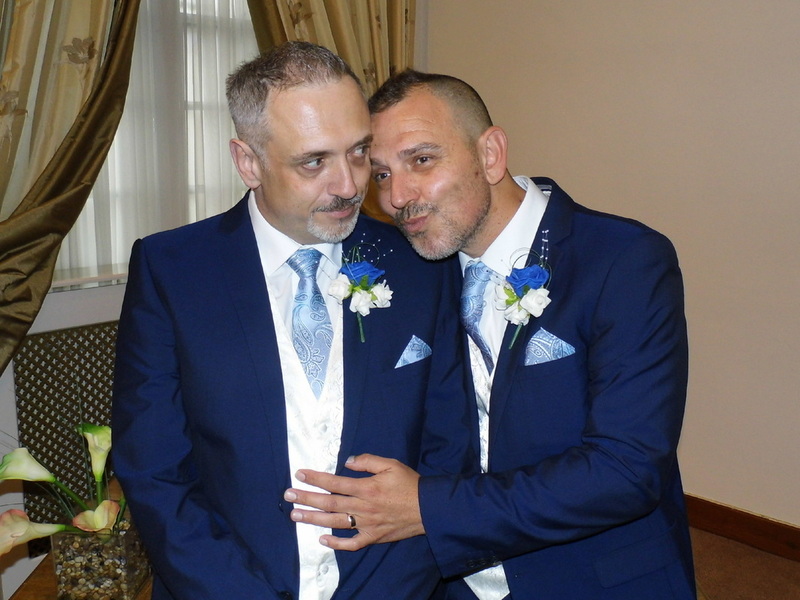 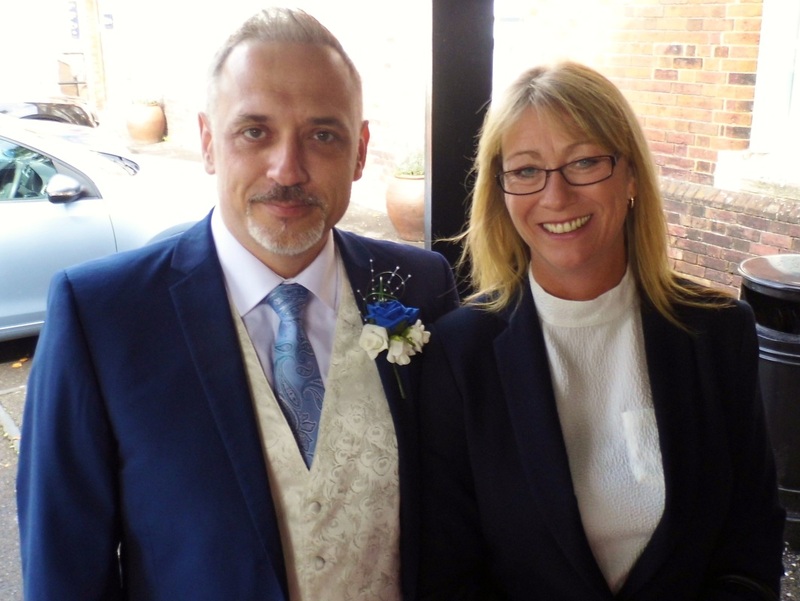 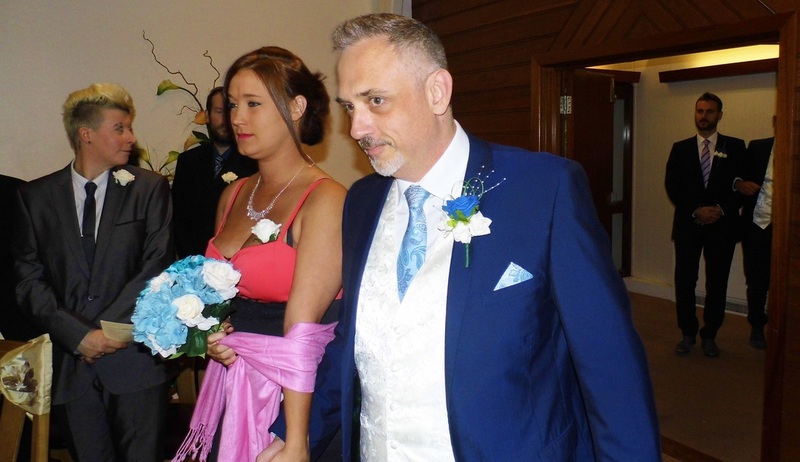 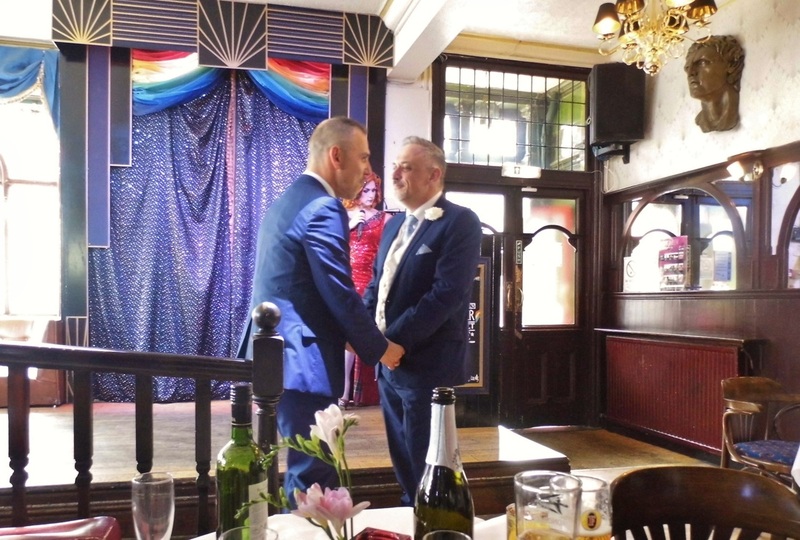 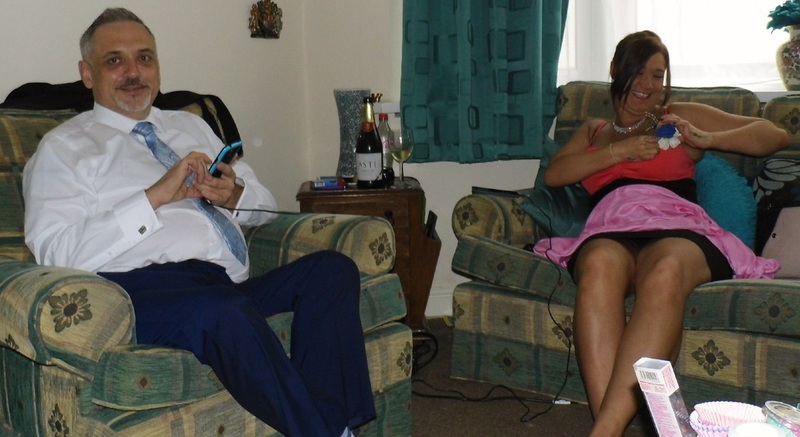 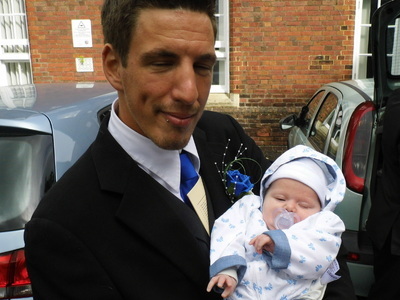 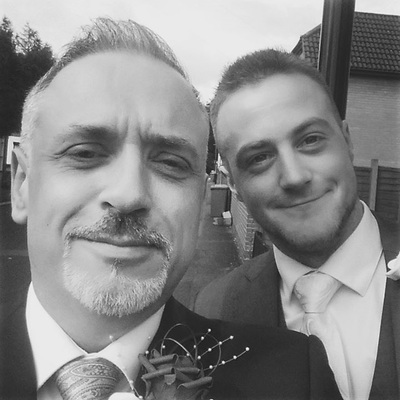 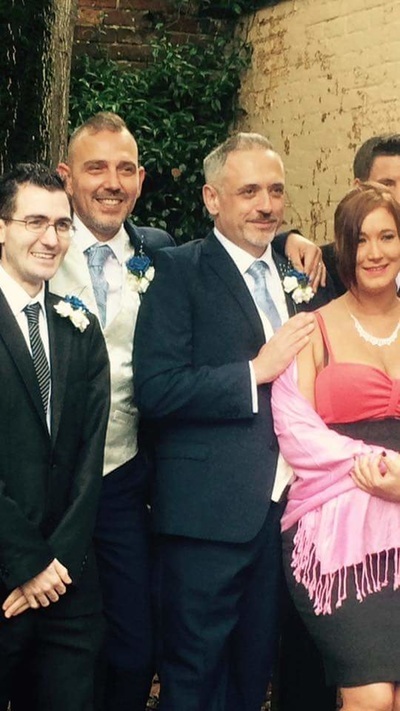 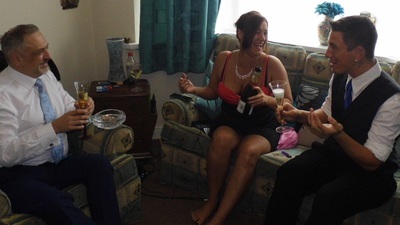 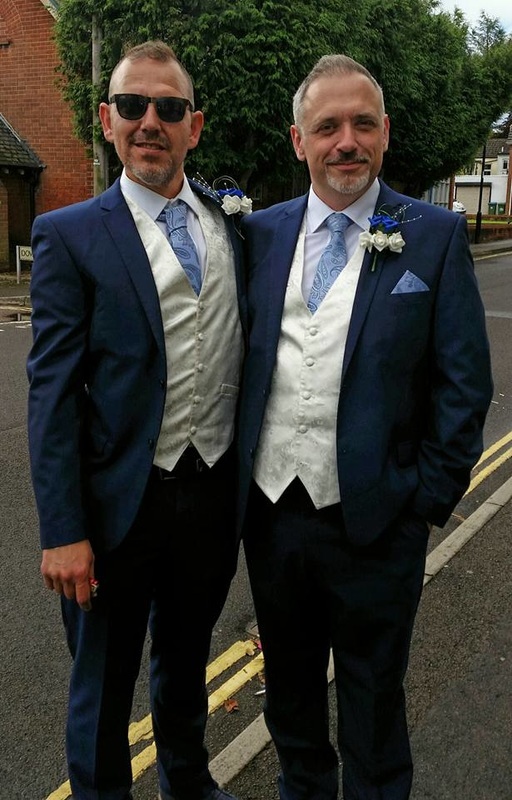 As most of you are aware by now, myself and Jason got married on 22 September 2015, at Southampton Registry Office, followed by a buffet reception at The London Hotel, in Southampton. 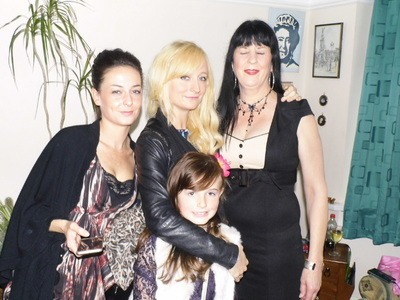 We were surrounded by about forty of our nearest and dearest friends. 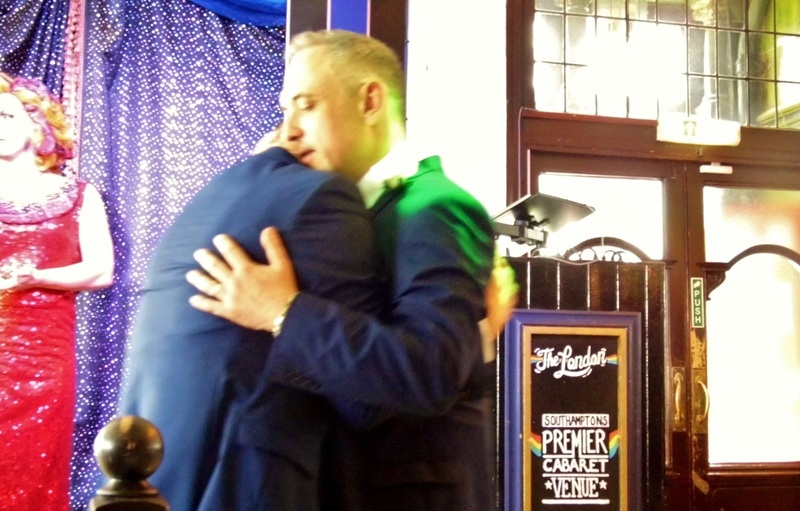 Those people, who especially at this time, had become integral to our relationship and it's success over a span of twenty years. 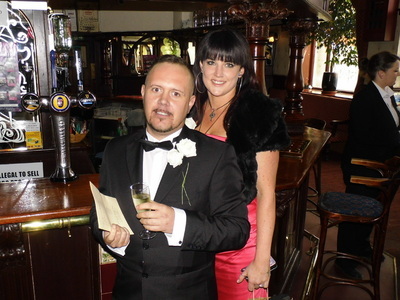 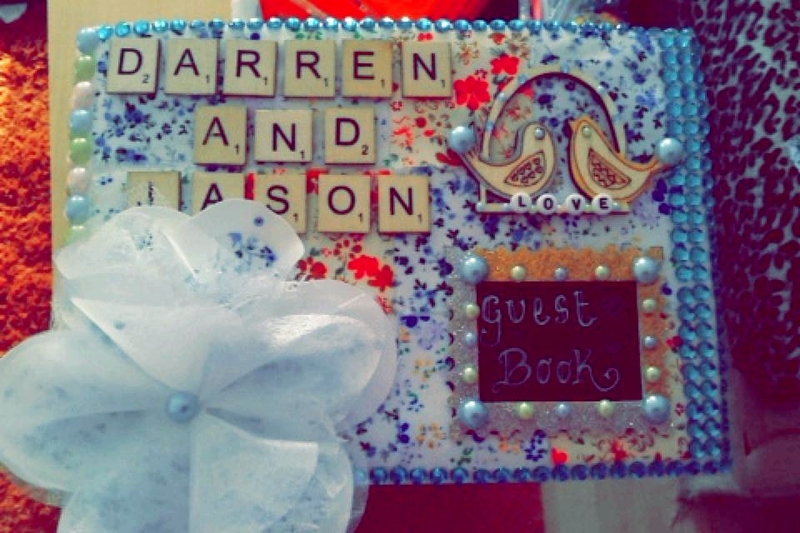 The 22 September 1995 was the day, Jason and I, ran away to Australia together and started our relationship together. 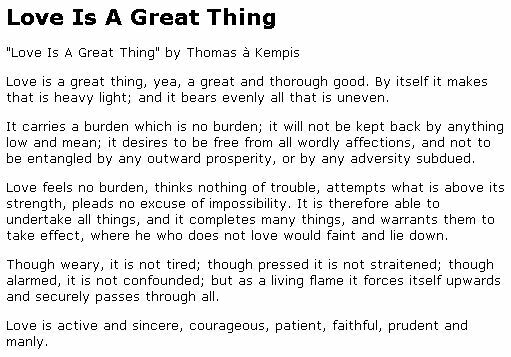 All the other events in our life, stem from this day. 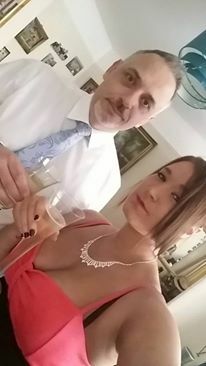 The date will always remain the most important for both of us. 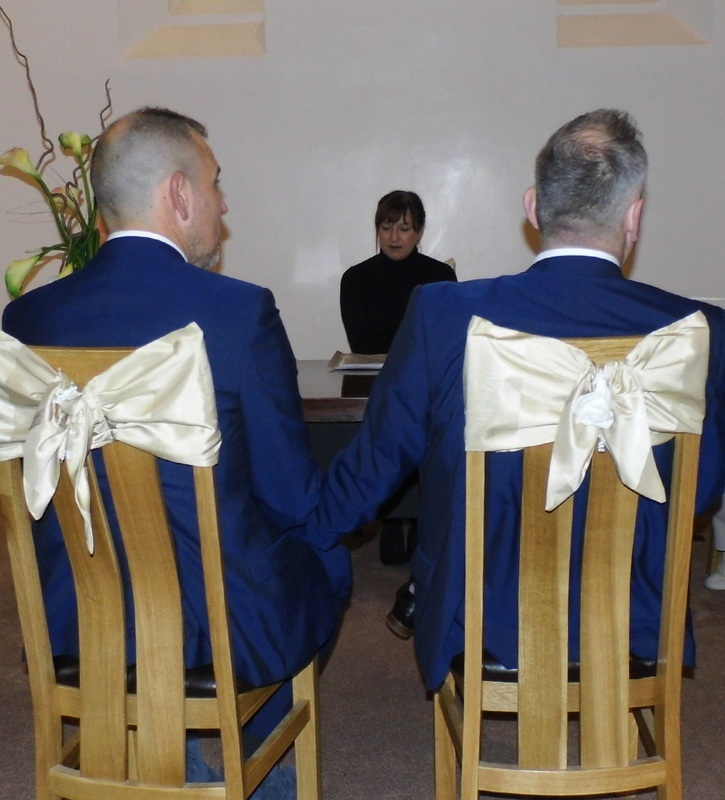 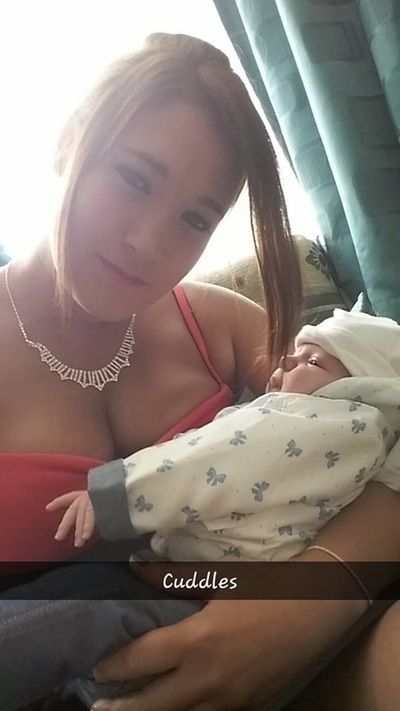 We are glad so many of you, could share our day with us! 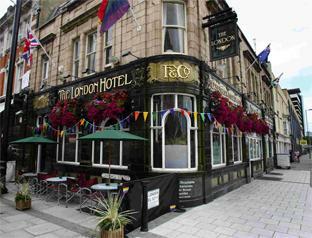 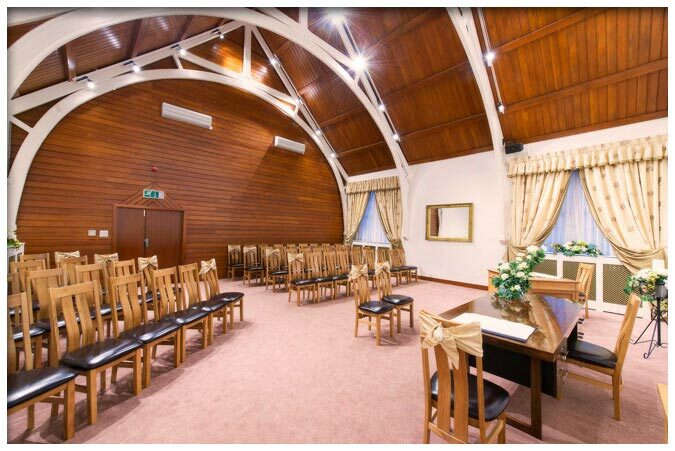 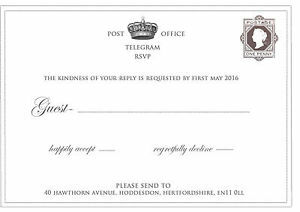 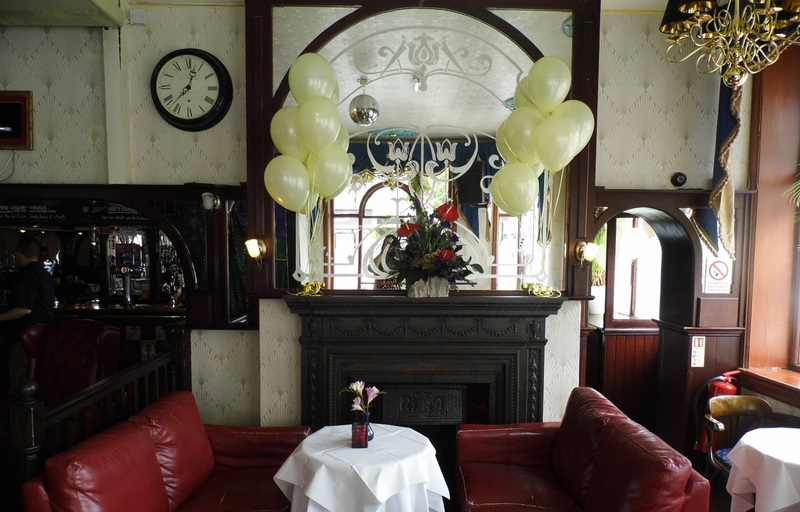 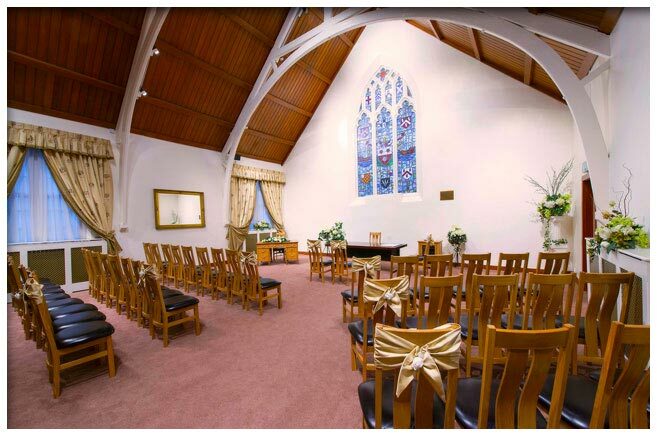 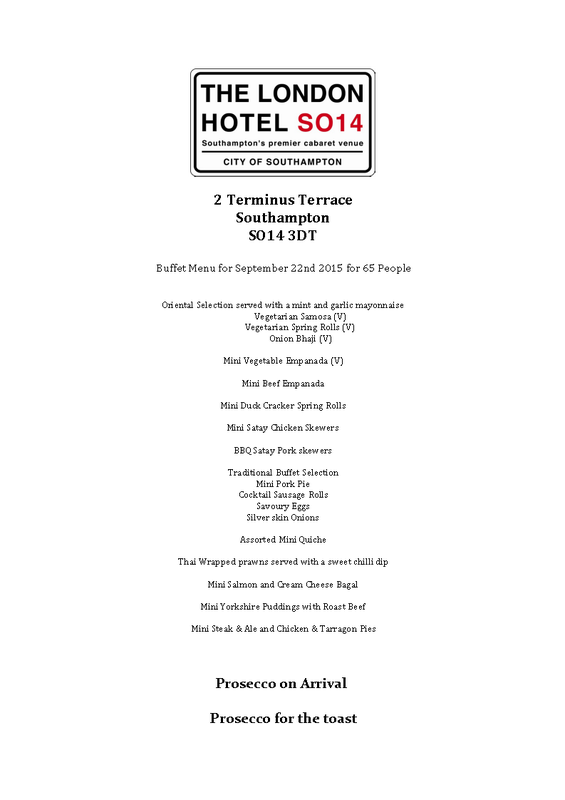 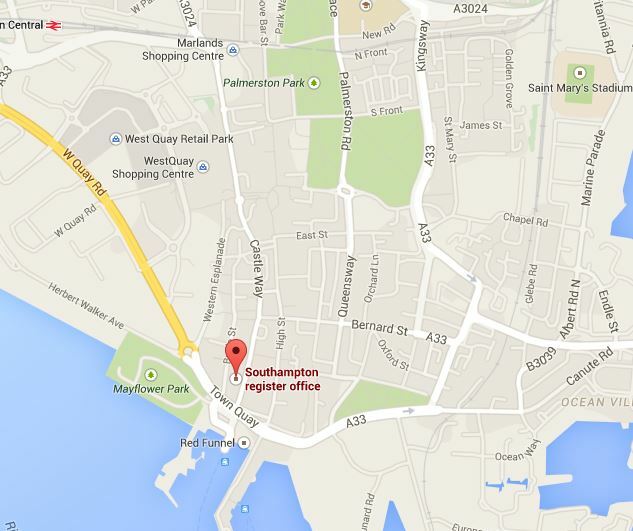 The Ceremony, 12pm - The Golden Jubilee Room, Southampton Registry Office. 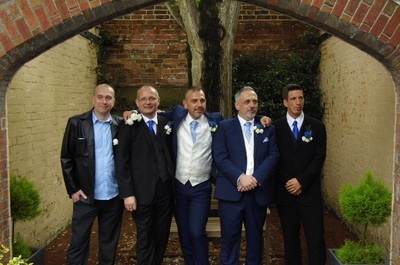 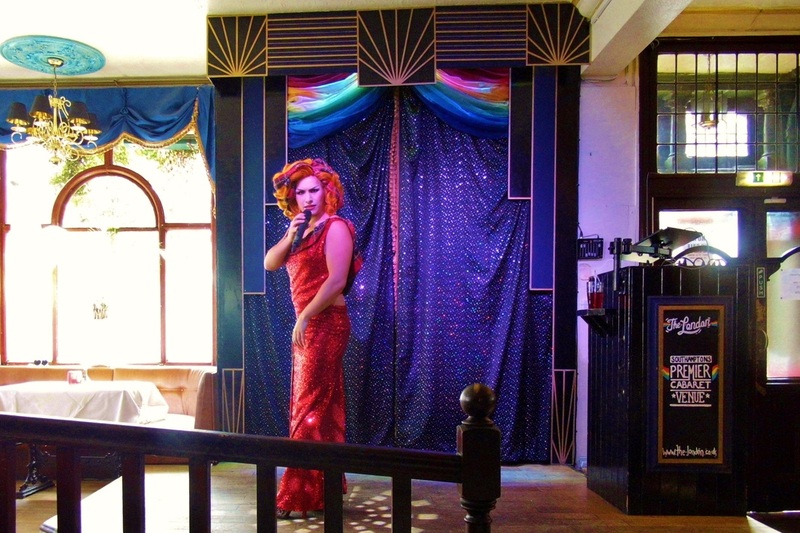 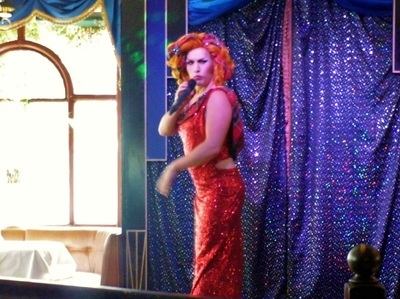 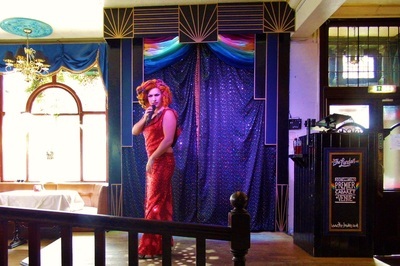 Many thanks to Melissa King for taking the photo's at last minute. 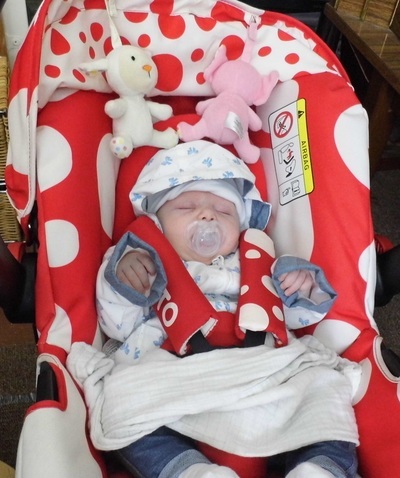 You took so much pressure off myself and Jason, after a difficult few months. 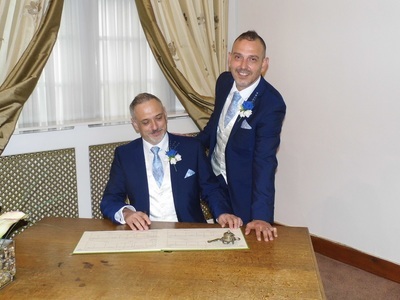 I'm sure people must be fed up, looking at pictures from our Wedding, but to Jason and I, it was the happiest day of our life. 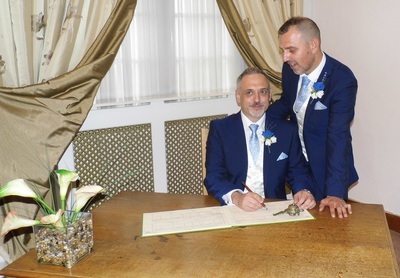 I never really believed in Gay Marriage in the past, but have since changed my mind. 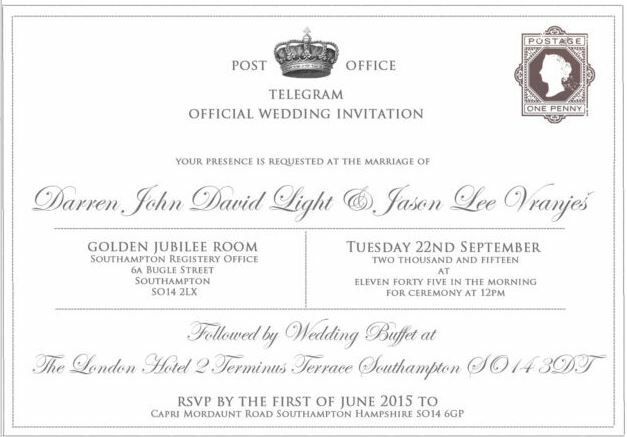 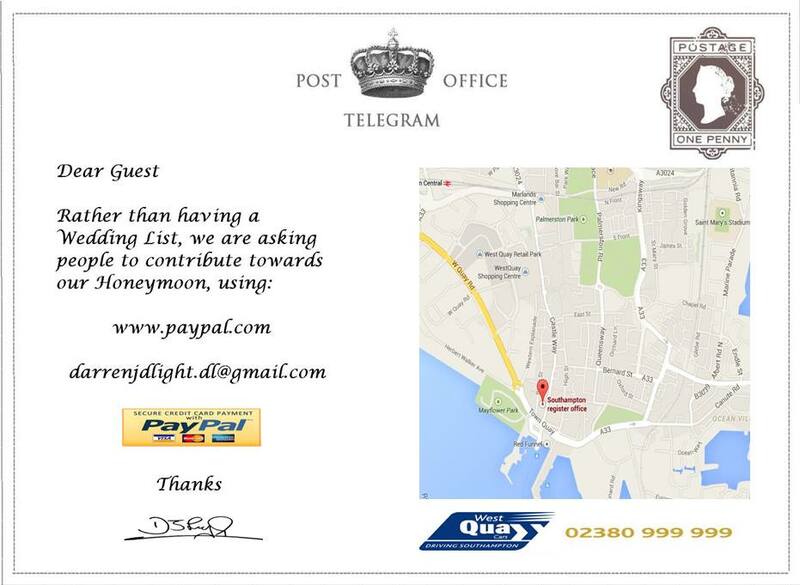 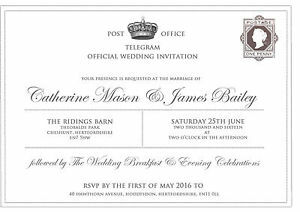 An official piece of paper, really does make a difference to a relationship. Our Marriage has bought us closer than ever together and we are so happy to have spent the day with so many gorgeous friends and family. All the important ones were there. 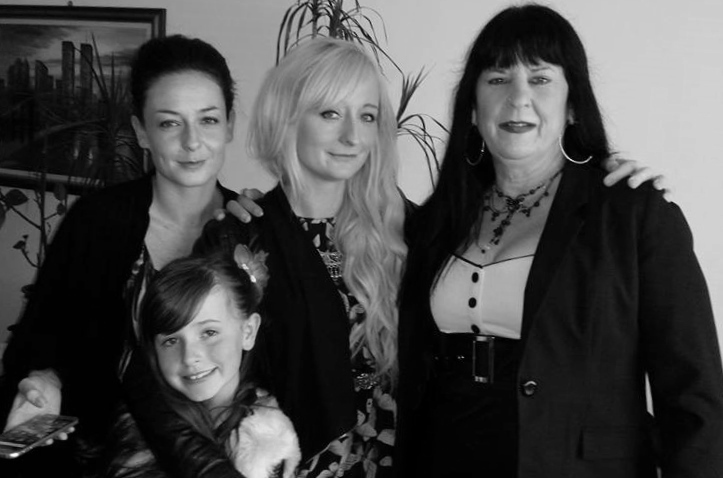 These are memories to cherish for a life time. 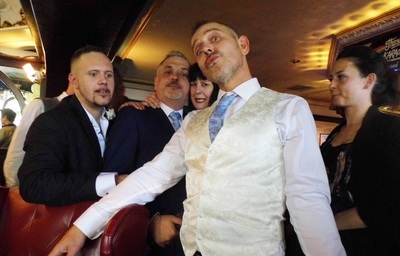 We'll be throwing another party in ten years time, when we renew our vows, we hope you can all be there again, to share the moment!